Some changes to the trip. Jon is unfortunately ill and can’t make the trip. Therefore I’ve done some changes to my kit, added the cook set and inner tent. But instead of going with my Bearpawwd Pyranet that’s quite big for just one person I borrowed Jons Six Moon Designs Serenity NetTent. 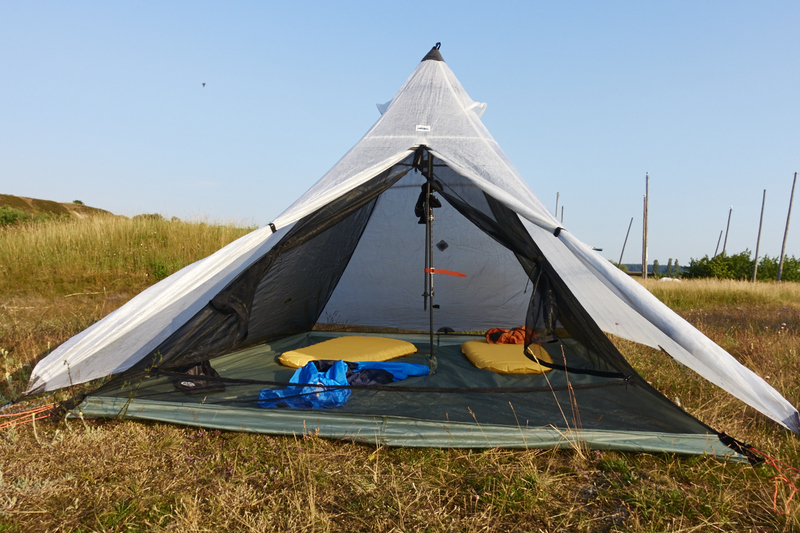 I’ve been looking for a smaller inner for my HMG Ultamid 2 and this is a sweet combo so far. Might be a good buy for me. I’ll get back to how the two performed together after the trip. So without further ado, Hyperlite Mountain Gear meets Six Moon Designs Serenity NetTent! This year we decided to go for a trip to Iceland. 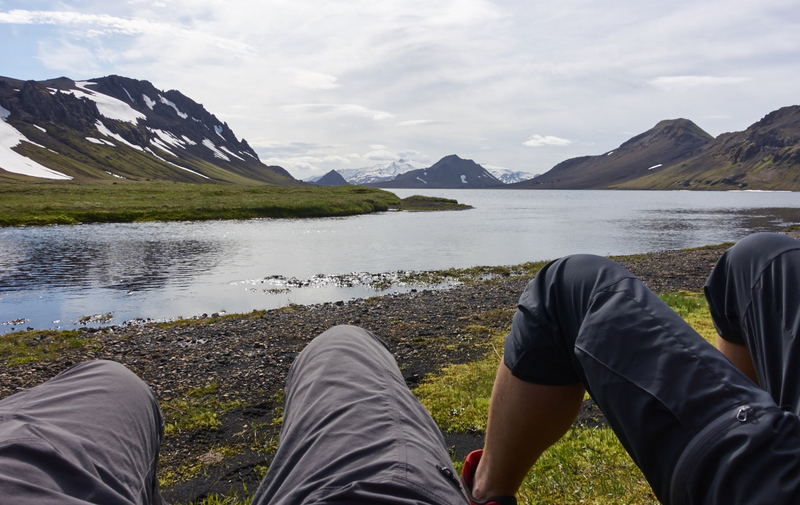 We discussed a lot of options after our fantastic travel to Jotunheimen, but when we found the Laugavegur trail we quickly decided that Iceland was a go for summer 2015. 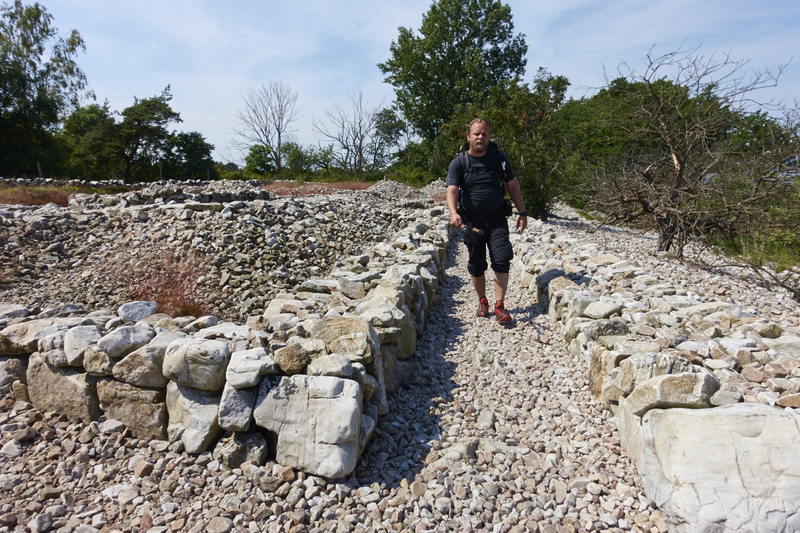 As we both have quite busy schedules we knew that we wouldn’t have too much time available for travel so we tried to maximize the amount of hiking we could get out of from a total of one weeks travel, flight and transfer included. 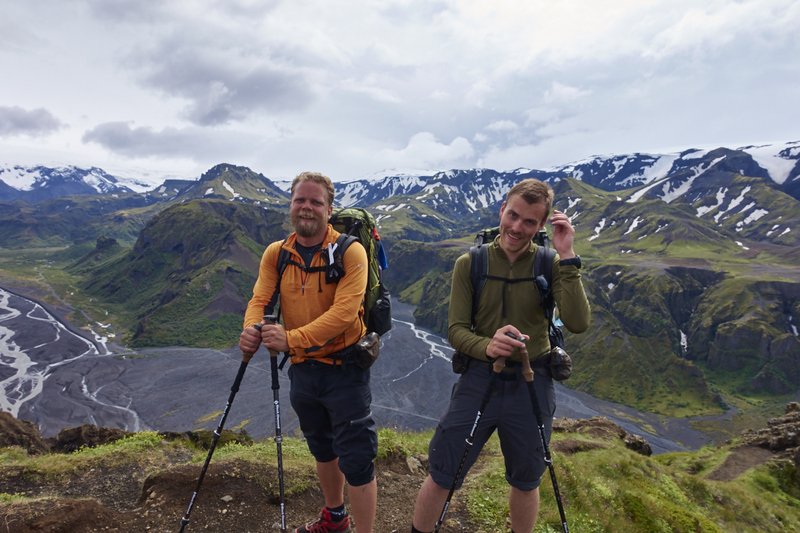 Normally the Laugavegur trail is recommended for a four to five day trip but we guessed that we would make that trip in two days. 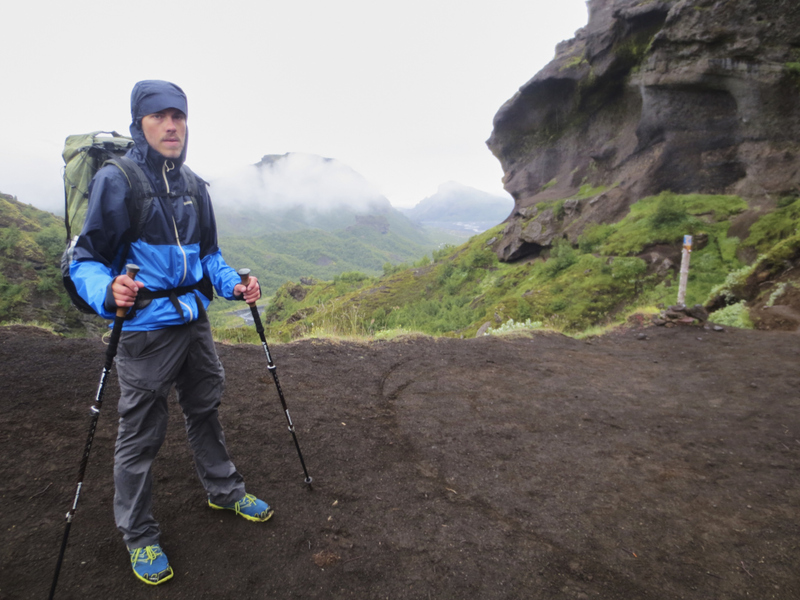 So we added two extra days for expeditions in Thórsmörk valley and then decided that we wanted to walk the Fimmvörðuháls trail from Thórsmörk down to Skógafoss as the great finale. 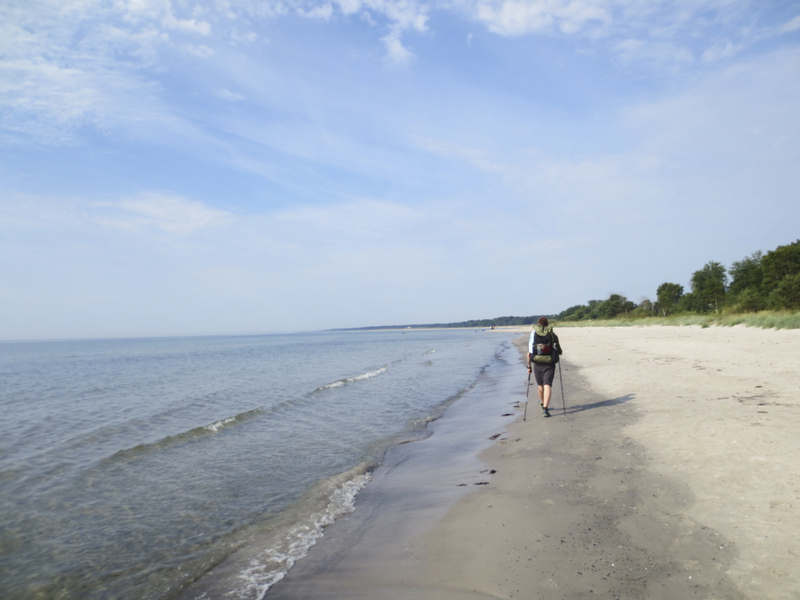 If all went as planned we would arrive at the Atlantic coast after five days of walking. Short after this the preparations began, we were pretty confident after our Norway trip so only small adjustments were made. 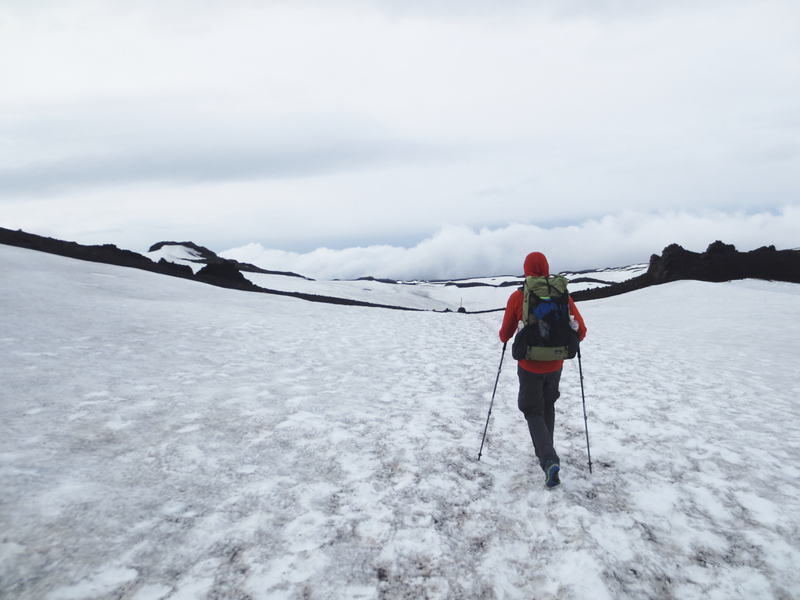 What worried us the most were the weather conditions on Iceland. We were told to expect a lot of rain and wind. So the rain gear was updated. Exept for the rain gear there wasn’t very much that was changed from last season, the main difference were our shiny new Zpacks backpacks. But these would have been bought any way, as we both wanted to get new backpacks. 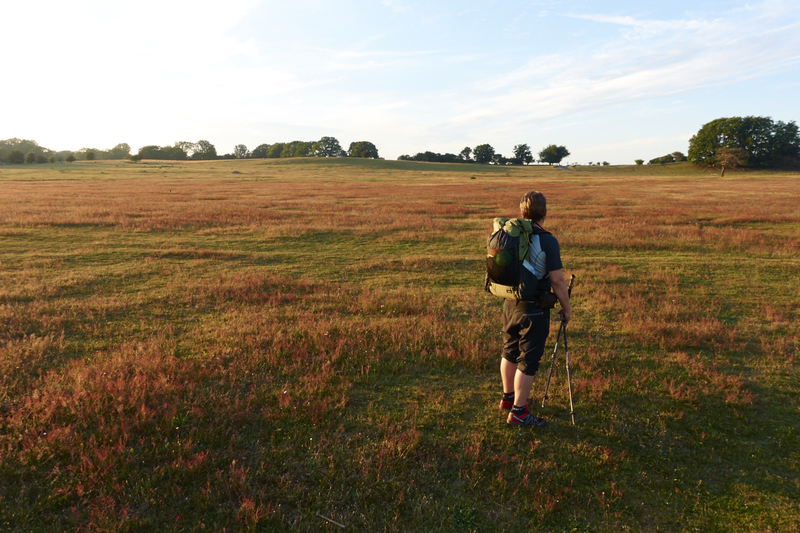 With all gear and planning sorted we went for a couple of weekend test hikes. Both of these showed to be fantastic trips in their own and we felt safe with our preparations, even thou we didn’t se a single raindrop on these trips. 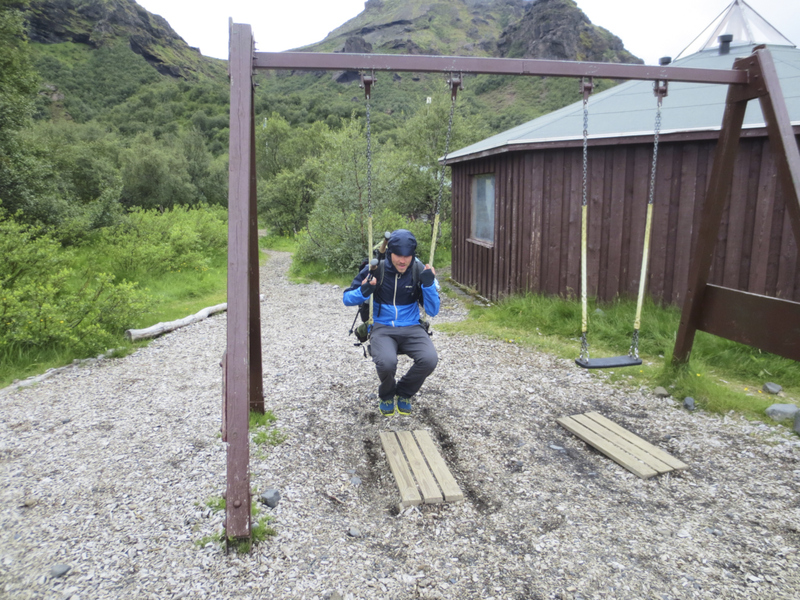 We started of the first day early from Landmannalaugar. This place reminds more of a festival camping than a regular campsite so we were eager to get on trail. 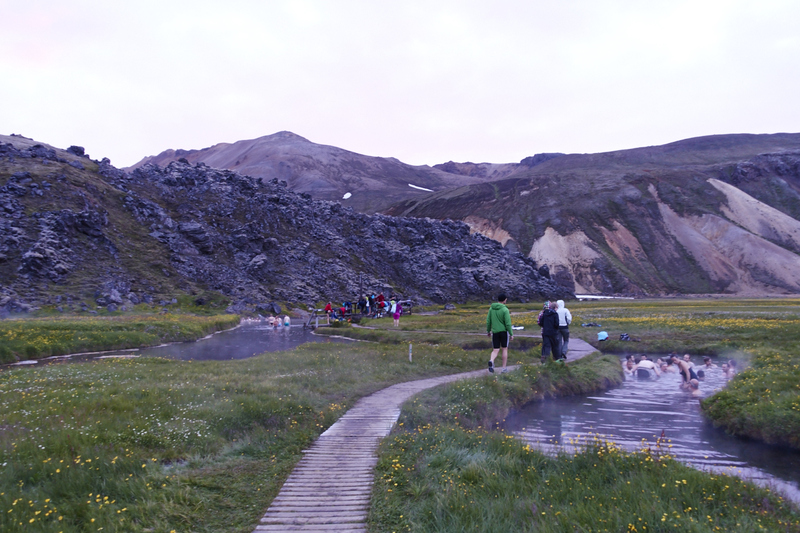 Hot springs, kind of like the Blue lagoon. From the first steps of the trail we understood that this would be a very different kind of trip. 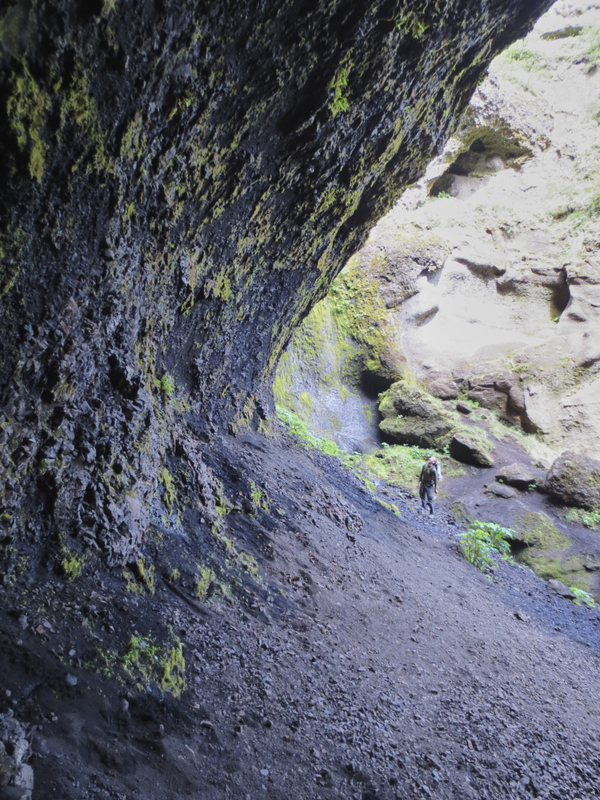 We started directly by climbing up a wall of black lava, covered in old moss. 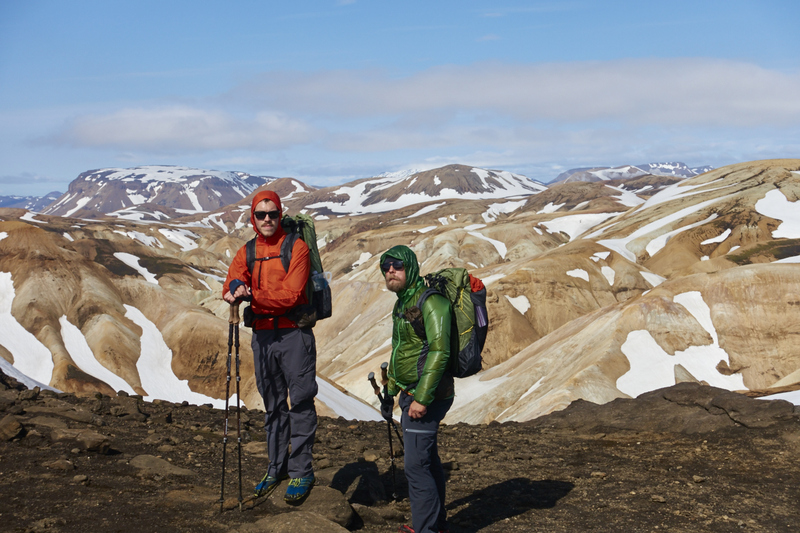 All around us were the multi colored mountains of Landmannalaugar. The trail went steadily upwards but we continued in good pace, just stopping to hydrate and marvel over the other worldly views around us. First steps out on the trail. The first real ascent, of course in snow. Snoooow! And lots of it! EVERYWHERE! As we gained elevation the trail was soon snow covered. 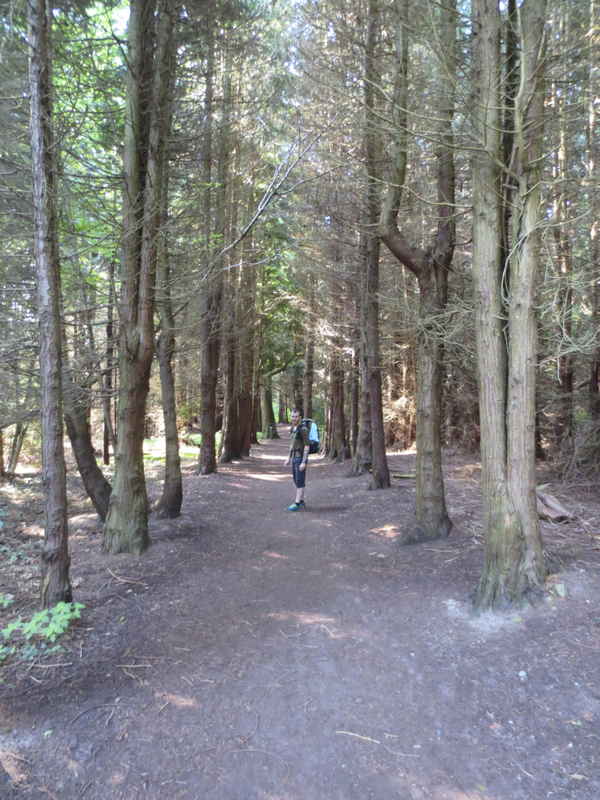 This went on for around 10 kilometers and slowed us a bit but sure made for some interesting hiking. 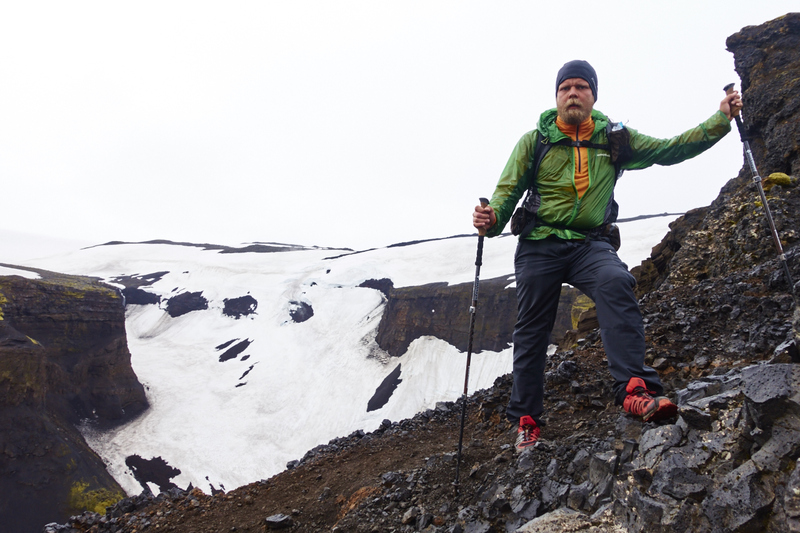 By 10:00 we arrived at Hrafntinnusker hut which was midpoint of this days walk. 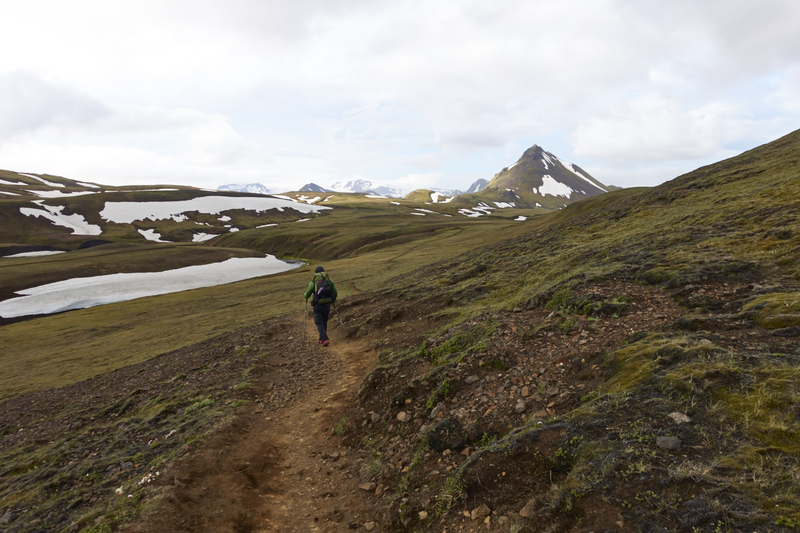 We soon started to catch up with some of the hikers who had stay at the hut and now had started tolk walk towards Álftavatn. 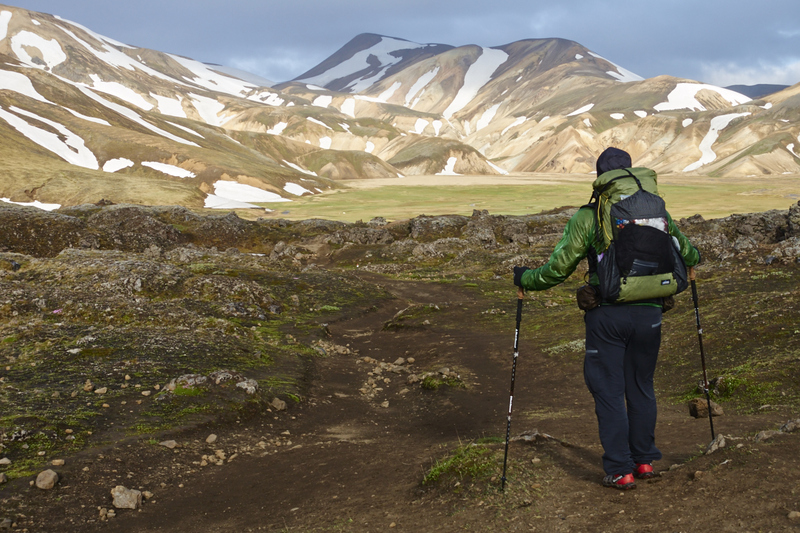 A couple of kilometers later the snow finally ended and we climbed the last peaks and could enjoy a view back over the mountains of Landmannalaugar. 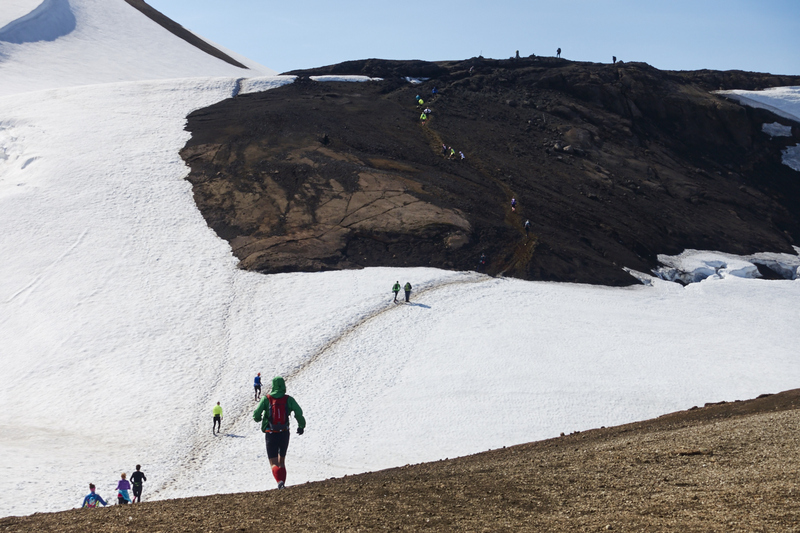 The 19th Laugavegur Ultra Marathon just happened to be on the same day as we started. Good for us that we were so far a head of everyone so that we’d passed most of the snow. On top of the hill from the last picture. The descent now started down to Alftavatn. At some parts the trail was pretty steep and now the wind was also starting to gain strength. You could actually lean forward a good bit and let the force of the wind hold you upright! Taking a break downhill, trying to avoid some of the wind. Happy days in the sun. When we finally had made the way down to the foot of the mountain we decided to stop for lunch. This was the first flat ground we hade met that was not snow covered. As the weather was quite good with sunshine and a slight breeze. we could dry out our footwear and catch some sun hidden from the winds in a small canyon next to the trail. 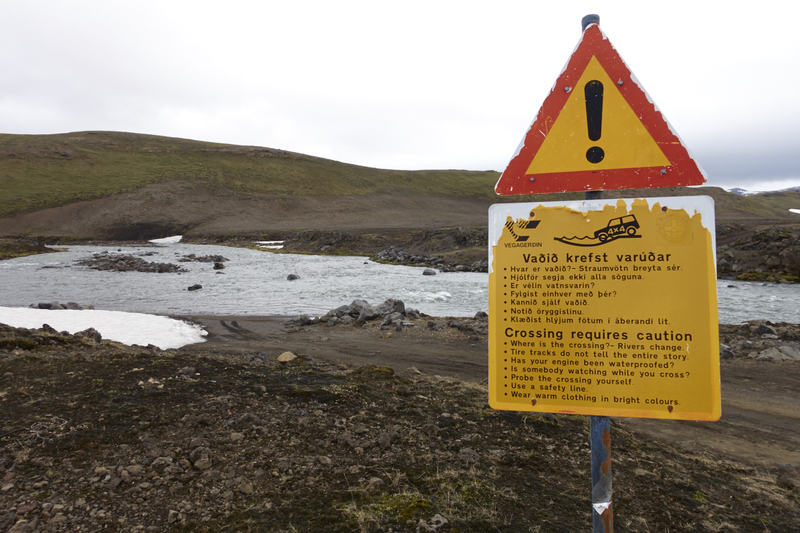 After this there was a quick walk on flat ground down to Álftavatn. 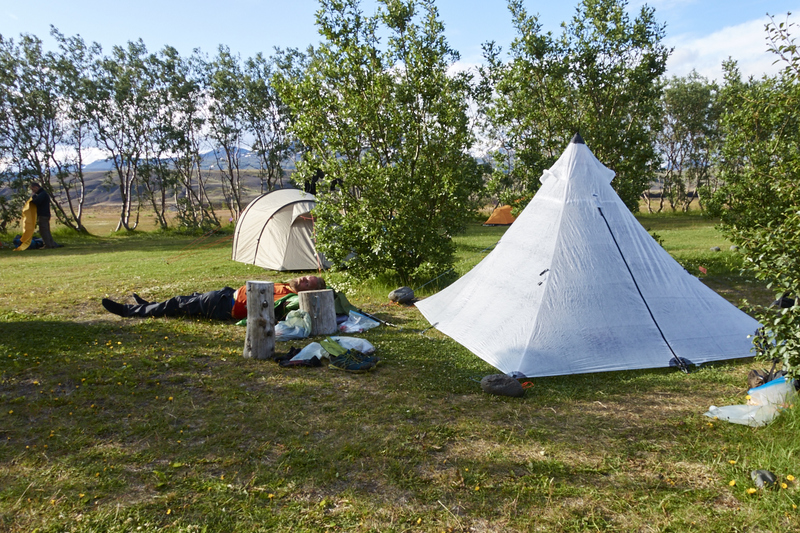 The campsite was located on a beautifull open green plain next to a small lake. 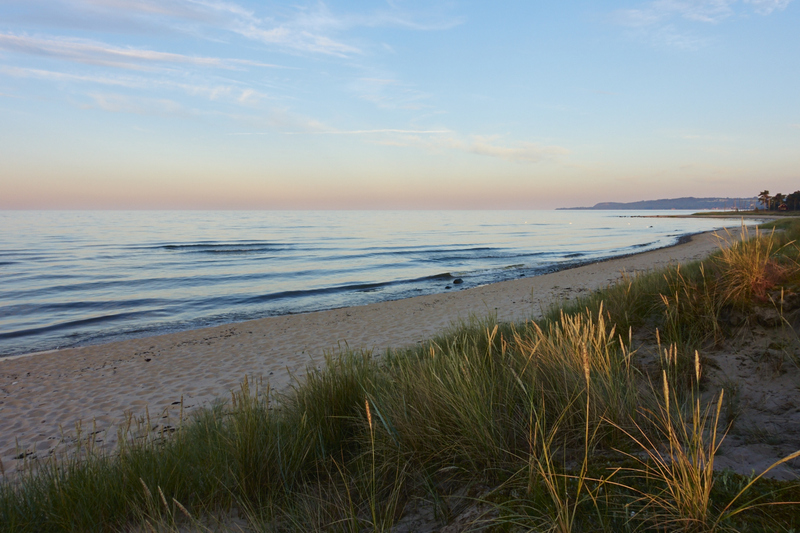 We pitched the tent, took a stroll down to the beach and made some food while enjoying the sunny weather. 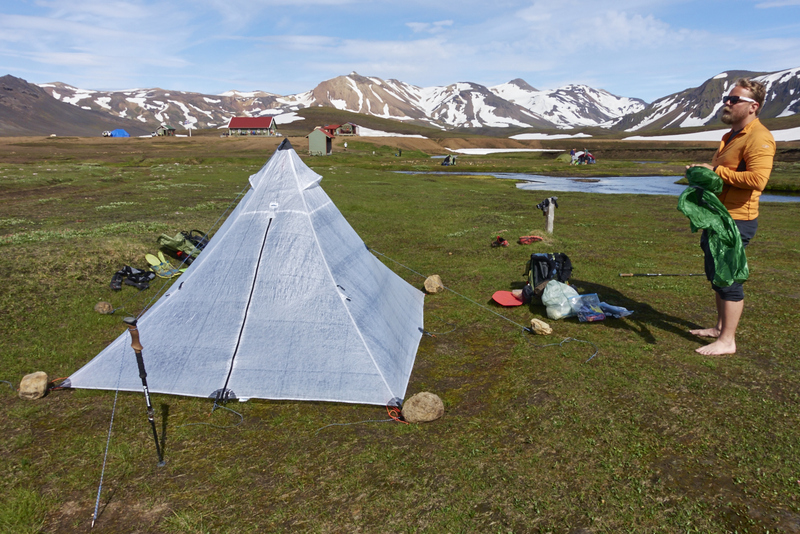 The open location of the camping field seemed lika a perfect place for strong winds so we anchored the Ultamid shelter with great care. 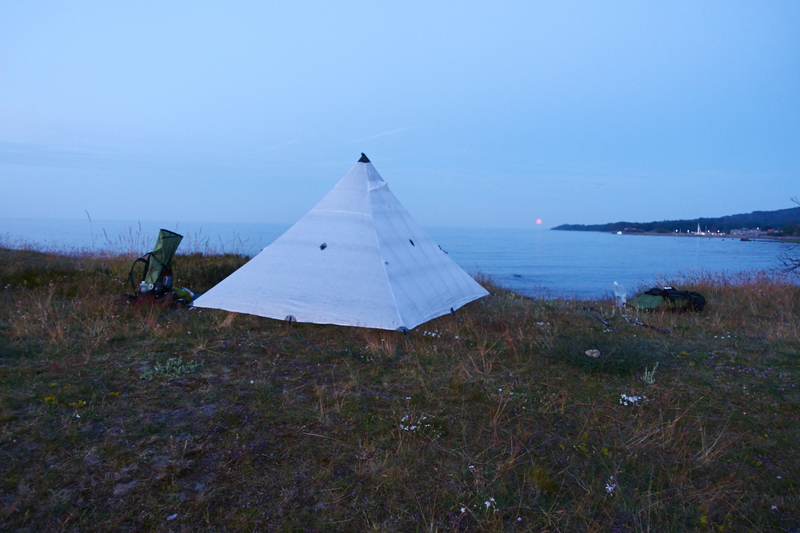 And indeed a couple of hours into the night we woke up from the smattering noise of the Cuben canvas getting beaten by the wind. But the tent stood its ground and didn’t move an inch. Later we got to know that the winds were up to 25 m/s during the night and its a good feeling to know that the Ultamid has no problem dealing with these kind of forces. 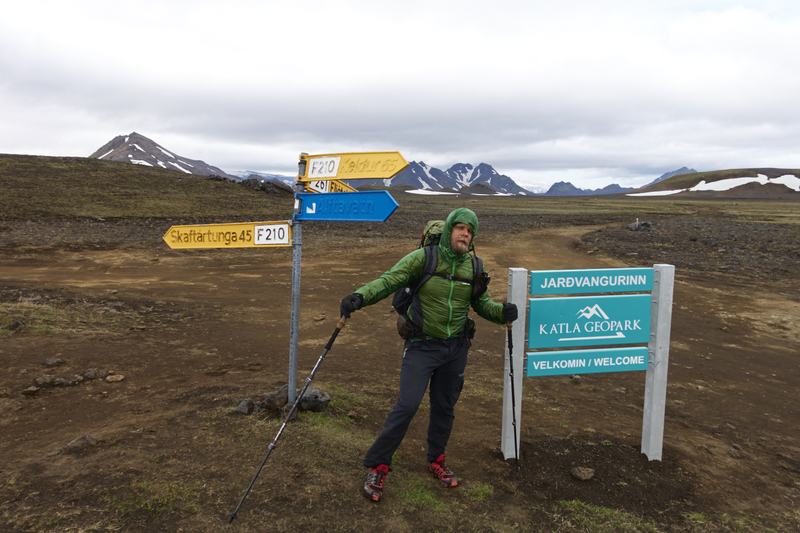 Next day we started of on the long walk towards Thórsmörk. The normal walk for this is to stop halfway at Emstrur but we felt that would have been to short for a one day hike. 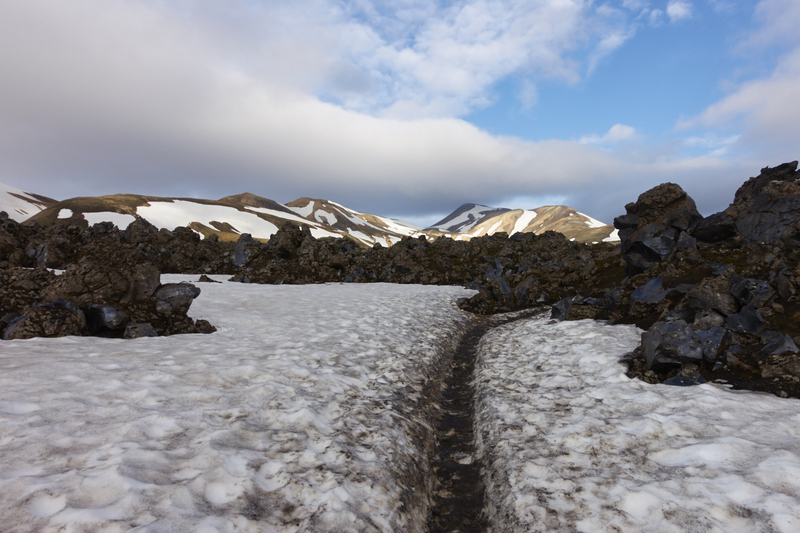 The trail took us down in the valley of Katla Geopark. All along the way we hade the glacier of Mýrdalsjökull on our left side. Covering the whole view to our west. 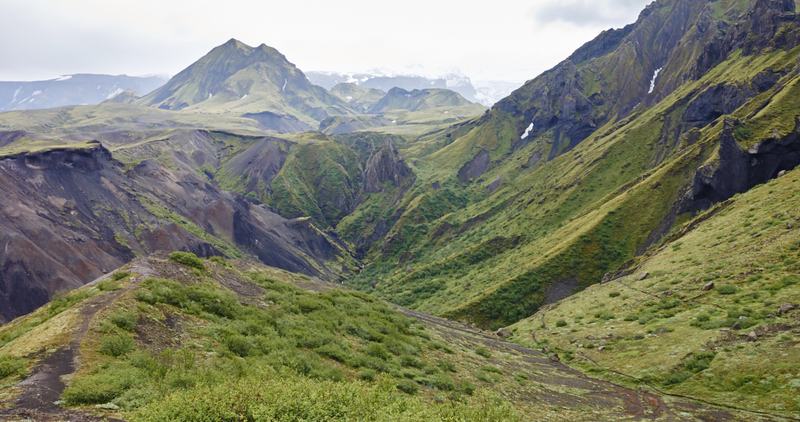 Here the landscape was greener with mountains and old volcanoes at all sides. There were a couple of river crossing on this section. 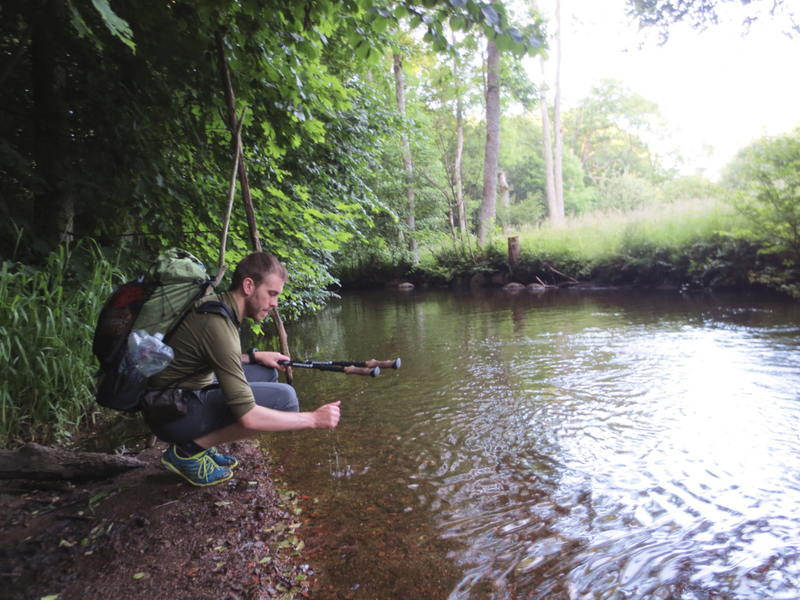 Hiking with wet feet is a great advantage when doing river crossing as you hardly ever need to stop before wading over the cold water. At each ford we always met hikers either preparing to ford the river or working frenetically to dry their cold wet feet to get back in their warm and fussy boots. The look on some of these people when we just walked past them and into the river was priceless. Counting up all the rivers we crossed we must at least have saved one hour during this day, just by not needing to stop and switch footwear and dry up. 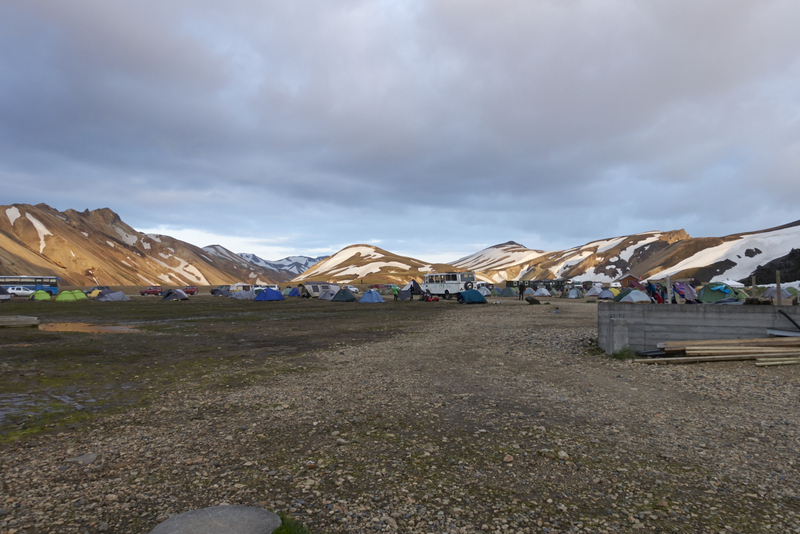 After a couple of hours we reached Emstrur, a small camp located in a ravine. 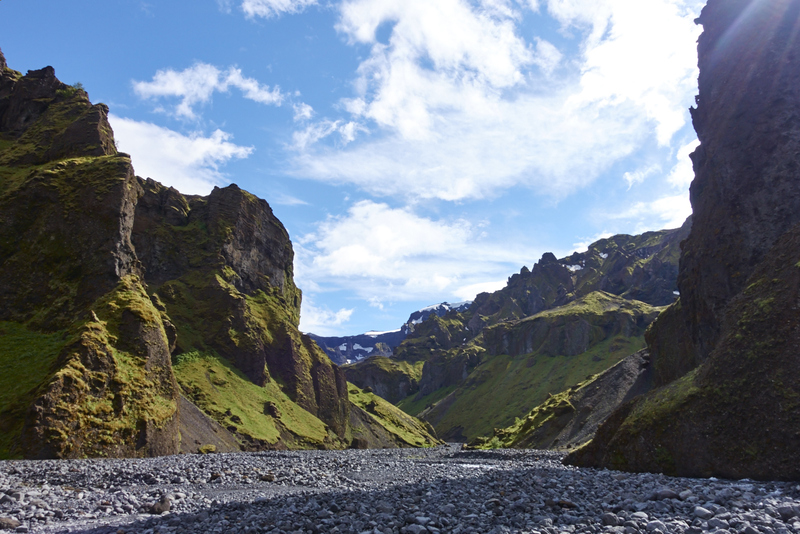 We stopped for some food, took a small detour to the canyon close by and then got going towards Thórsmörk. Coming up on Emstrur hut. Just around the bend to the left, where the car is going. By now the wind was starting to catch up in strength. 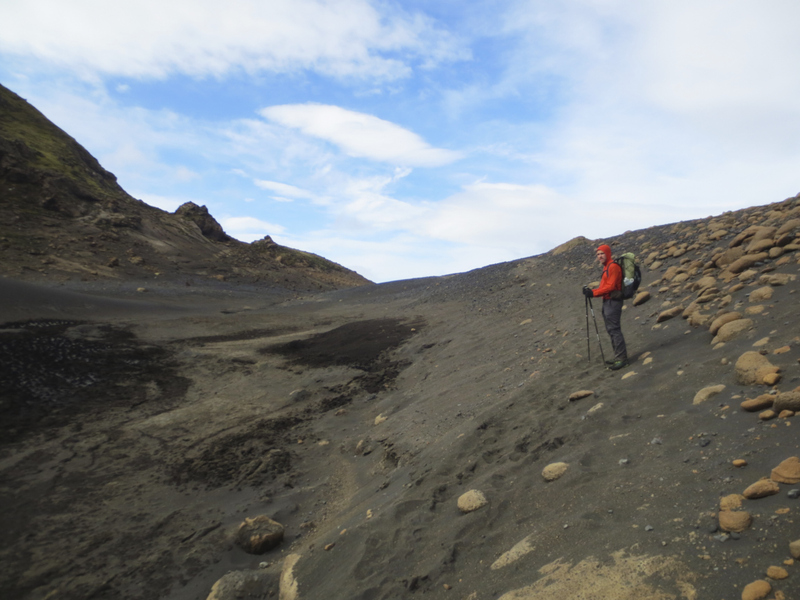 When the trail got down to the low lands, covered in a black sand desert we started to see small tornadoes of black sand. The landscape once more was completely surreal. Black desert covering wide stretches of ground, framed by equally dark mountains stretching up on all sides. If there is one place on earth were Sauron could have lived with his orc companions this would be it! The closer we got to Thórsmörk the more vegetation surrounded us. 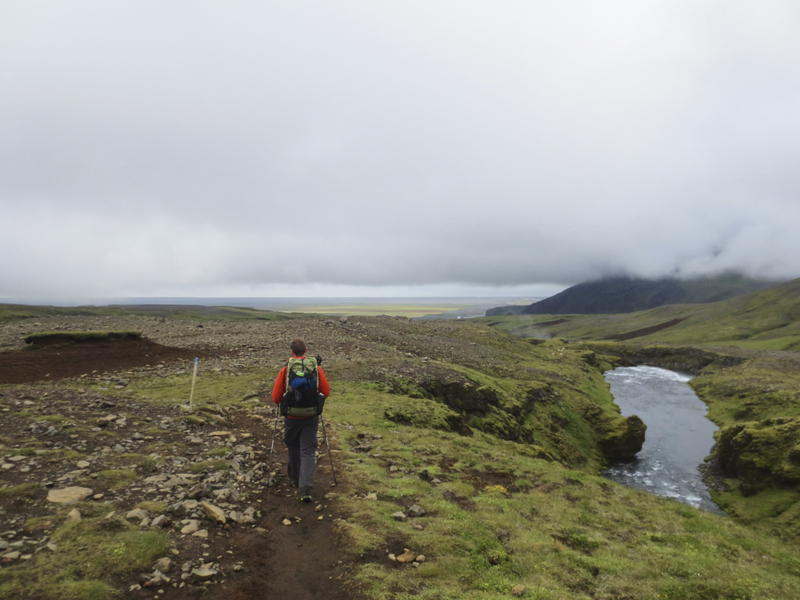 In the afternoon we crossed the last river and entered the small woods in the hills of Thórsmörk. The contrast to the previous landscapes was remarkable. This place felt almost as home. 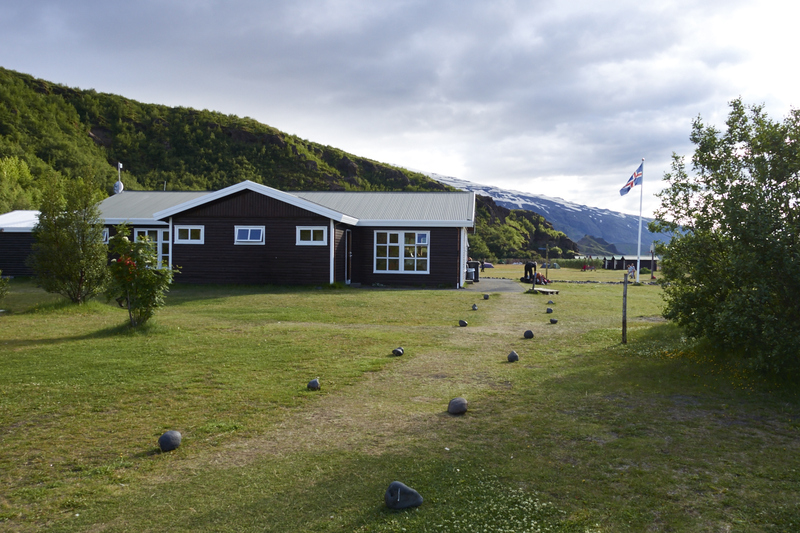 By six o clock we arrived at the Volcano Huts, having walked 35 km we were of course a bit tired and most of all hungry! 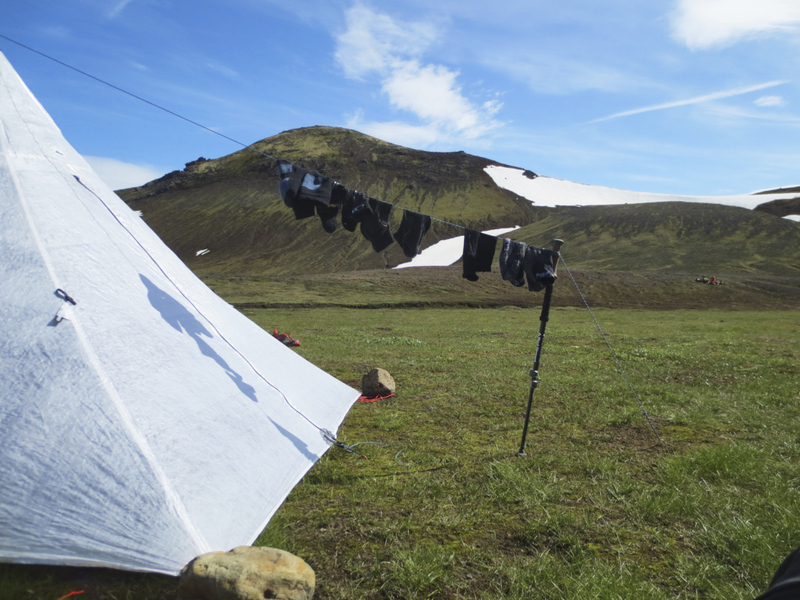 After a quick dinner we pitched the tent, took a bath in the geothermally heated pool and soon fell asleep in the bright Icelandic night. We woke up to rainfall. As the day before had been long we didn’t hurry away. Instead we took our time and waited out the rain before breaking camp. For the two next coming days we had planned to do expeditions in the valley so we started of, aiming at the closest mountaintop. On our way we stumbled over a cave, complete with a overhang waterfall. We managed to squeeze in between the boulders and stood watching in awe. 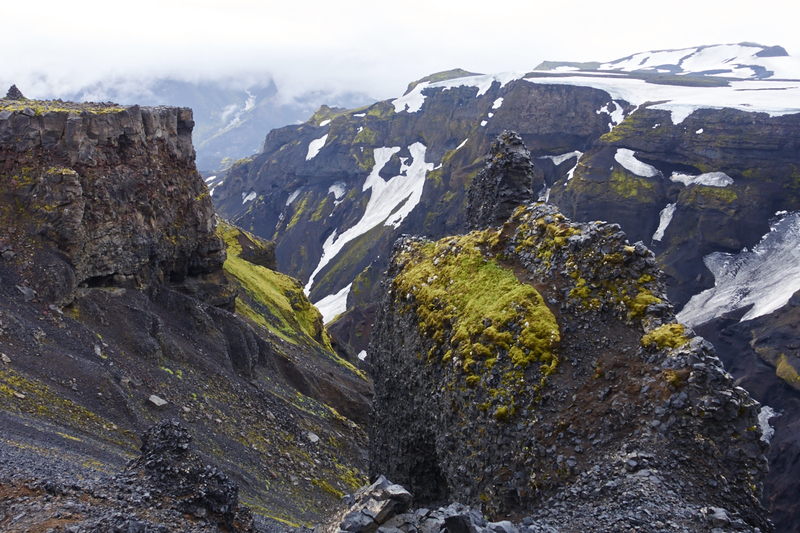 After this we climbed up to the top of Mount Valahnúkur. 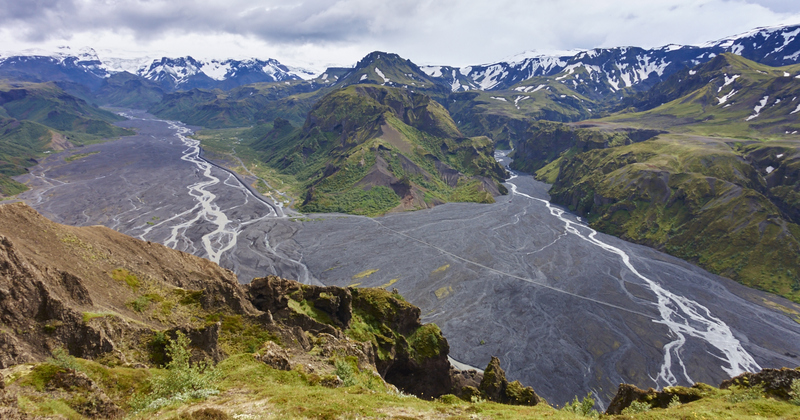 Not a very high peak in it self but its conic volcano shape and placement at the edge between two river deltas made for a marvelous view over vast glaciers and valleys. Down from the mountain we took a break, cooked some food and decided to cross the river Krossá. 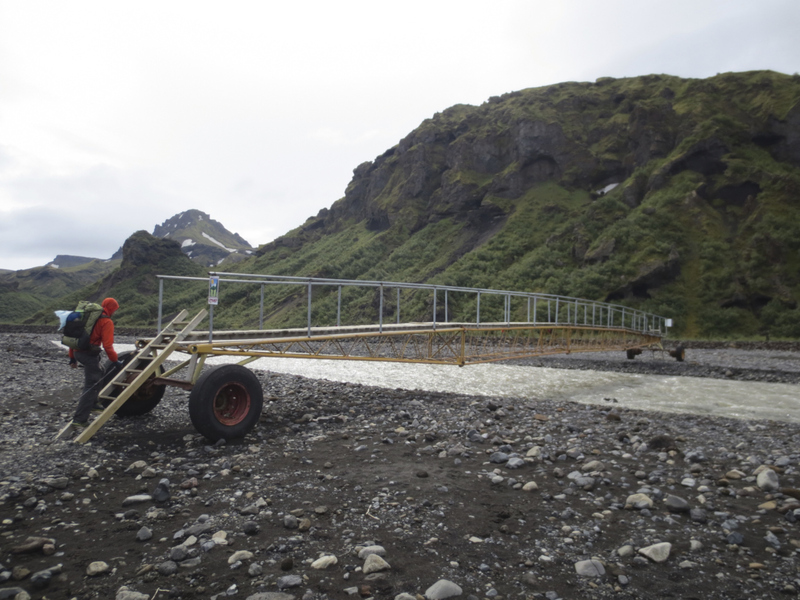 We decided to ford the river instead of taking the bridge that was located a couple of hundred meters up river. Not a very smart decision in hindsight as the water was waist deep and the stream quite strong. 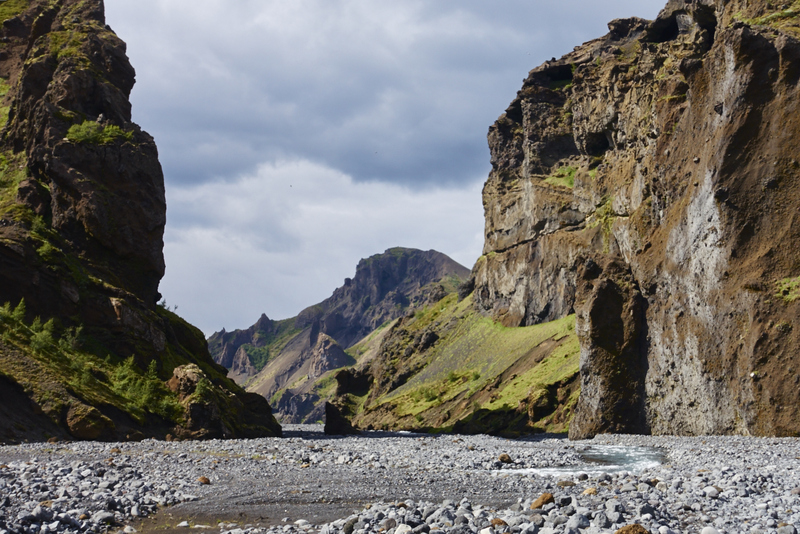 The goal for this trip was Stakkholtsgjá Canyon, a deep canyon ending in the valley below Mount Valahnúkur. As we got closer we realized that the water level on the fords in the riverbed was pretty high, explaining why no one else was to be found at this spot. We had to try at least five different crossing before we finally were able to find a safe way over the rivers and could walk deeper into the canyon. The canyon was definitely one of the highlights of this trip. Walking the bottom of the riverbed, surrounded by vertical cliffs and waterfalls at all sides with birds circling above us brought a calmness and serenity not often seen in our modern lifestyle. 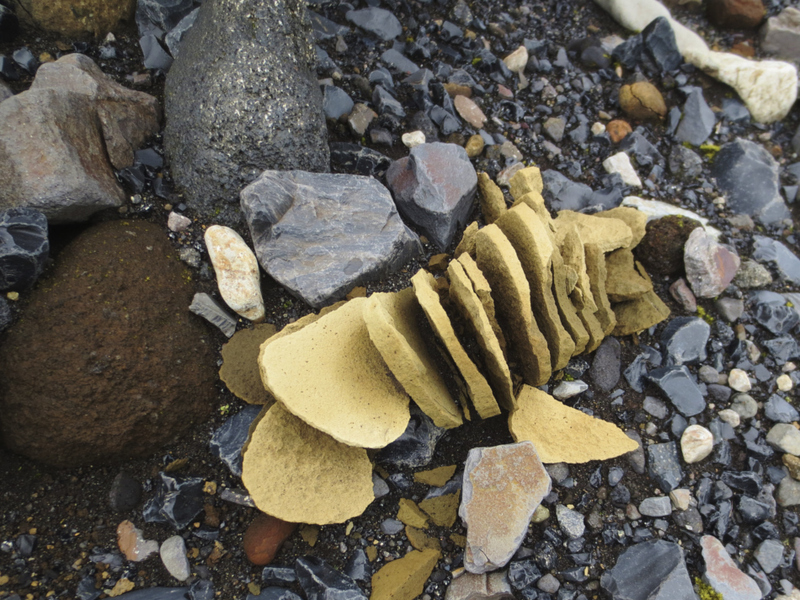 We stayed in the canyon for a couple of hours walking in deeper and following the riverbed up closer to the glaciers. 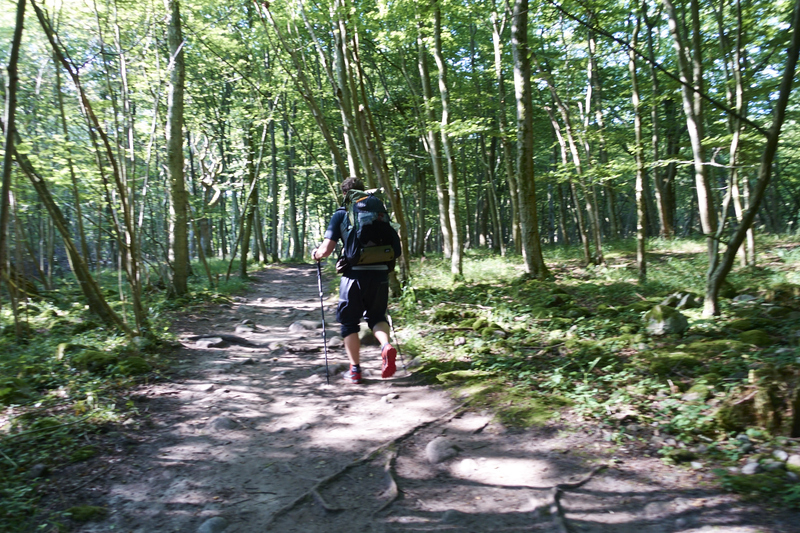 After this we quickly went to a campsite on the same side of river Krossá and made preparations for the night. All the river fording in the canyon had got us cold and it was a relief to get the wet clothing off and switching to warm layers. Unfortunately both of us had problems with our Seal Skinz socks that by now where starting to leak. Despite that we only were using them on evenings to get our feet dry and warm! 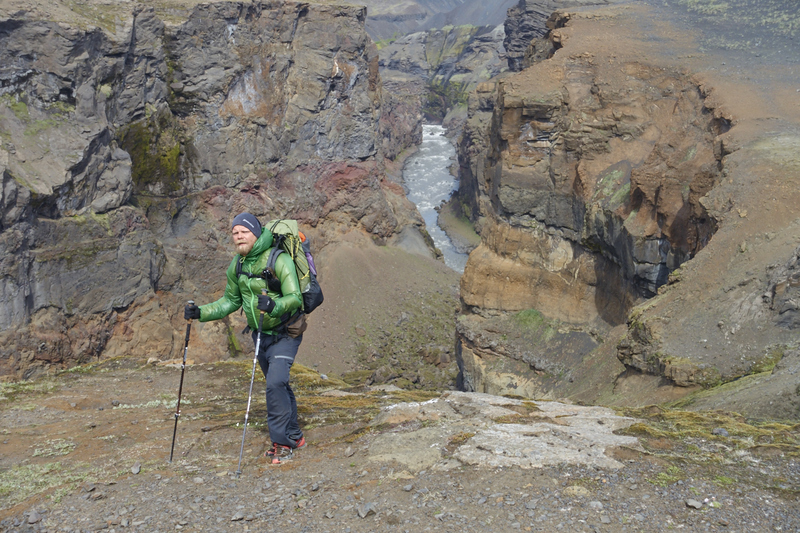 Next morning we went back over Krossá, this time by the bridge, and walked up the Tindfjöll mountains. 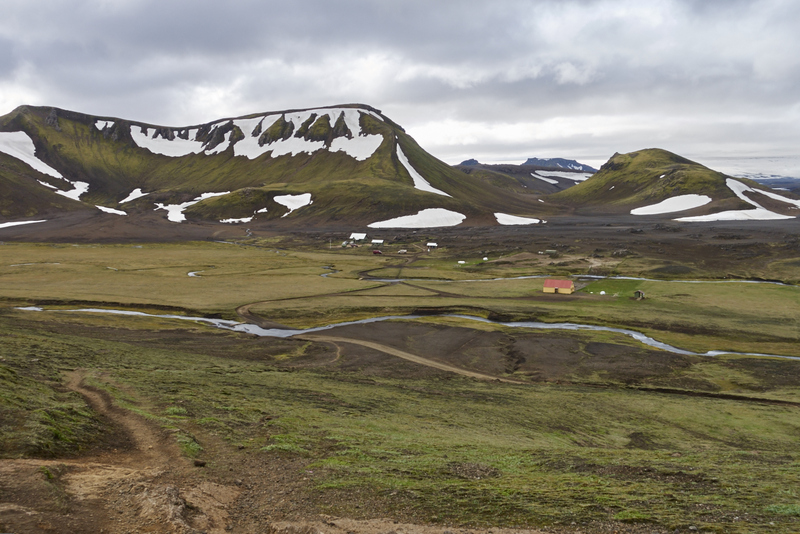 The path led along a ridge giving a view not only over the Thórsmörk but also over the valley where we hade walked down from Emstrur two days earlier. A satisfying feeling to look back over the expanse and see how far we actually had walked. Jon now realized he had made a biiiig mistake. He had forgotten one of his inner soles. The soles were taken out the evening before to dry up after all the river fording the previous day, and somehow one of them got left behind. 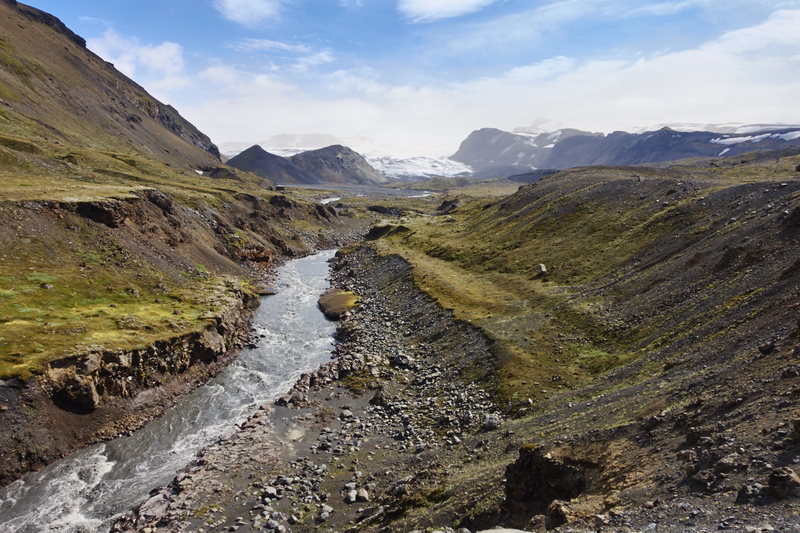 Luckily the camp was on the way back towards Skógar so we decided to walk back in the valley below the Tindfjöll mountain range and cross the river again to go searching for the inner sole. Despite this being a pretty serious situation we managed to keep up the mood and walked along. André was a bit bitter though, as he had seen a nice mountain top further away that he more than gladly would have climbed. After a short walk we were back at the camp. And believe it or not, the sole was still there, hidden in the wet grass! Just like winning the lottery! 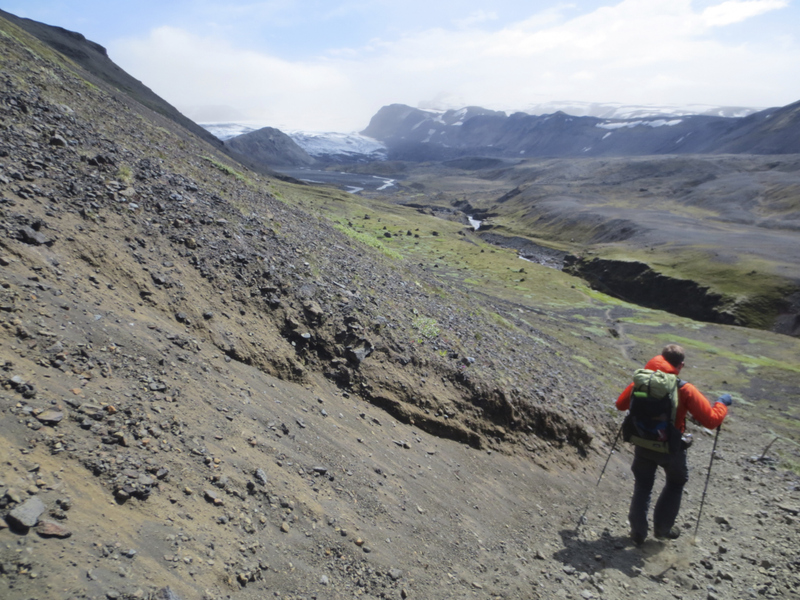 As it was only lunch time we decided to go up closer to the valleys next to Mýrdalsjökul and Katla to see the glaciers up close. Also this time the riverbed was crossed with fords that were pretty hard to wade but we were soon over. The trail lead us straight up Mount Gathilur. As the sides of the mountains were very steep we had to follow the switchbacks back and forth. Higher and higher up the mountain. 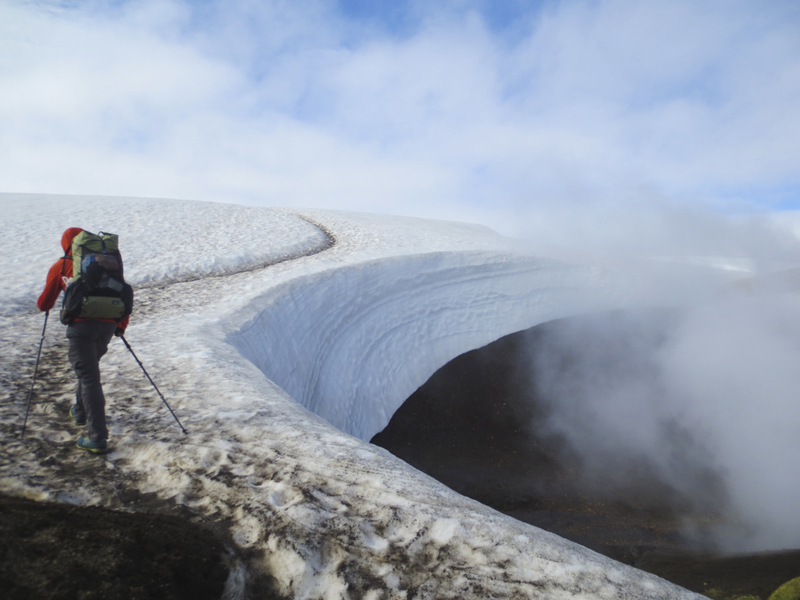 When we finally decided to stop we were at 500 meters height and had a fantastic view over the green mountainsides and the massive ice cap covering the volcano of Katla deep below. While we were resting we suddenly saw a trio of hikers approaching from the top. Soon we realized that one of the guys was riding a bike! It’s to much to say that he actually was biking as it showed out to be some kind of photo shoot. The guy on the bike carried his bike to a scenic spot, waited for the camera team to get in position and then cycled 20 or 30 meters down the trail while his companions shot away with their cameras. Pretty impressive anyway, sure made for some cool photos! Having observed this for a while we decided to go back down and pitch our tent. 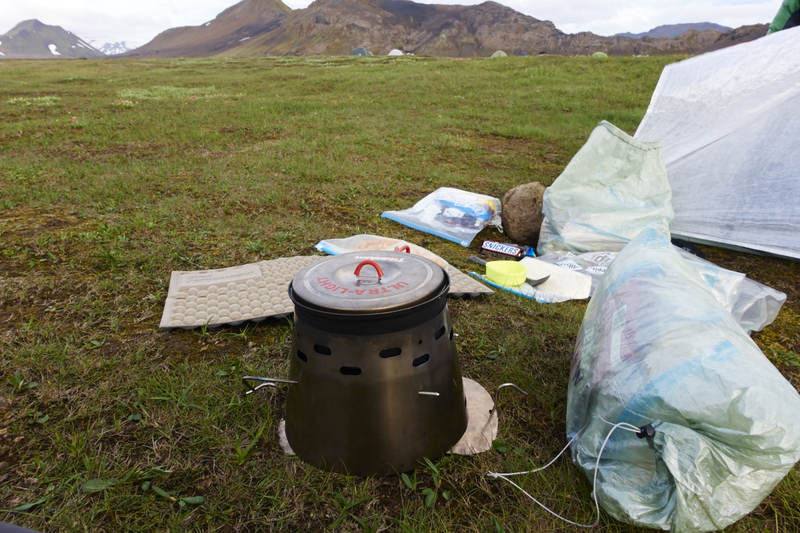 We found a good spot close to the start of Fimmvörðuháls and made camp there. Eager for the last day of our trip! 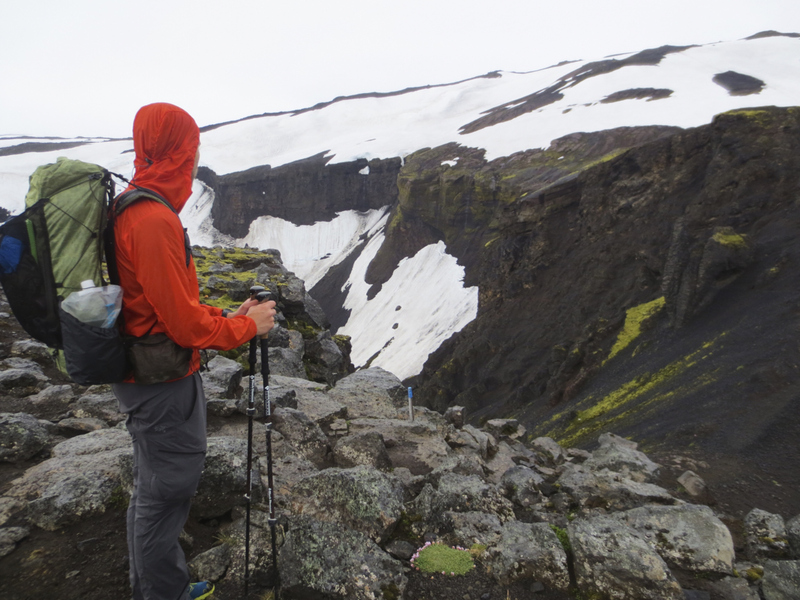 A light drizzle met us as we started our way up towards Fimmvörðuháls. As we climbed higher we soon reached and passed the low layer clouds that were covering the mountains around us. The trail constantly went uphill and we started to get very warm in our rain gear. It wasn’t long before we skipped the rain jackets and got into our wind jackets instead as the rain got lighter and lighter. 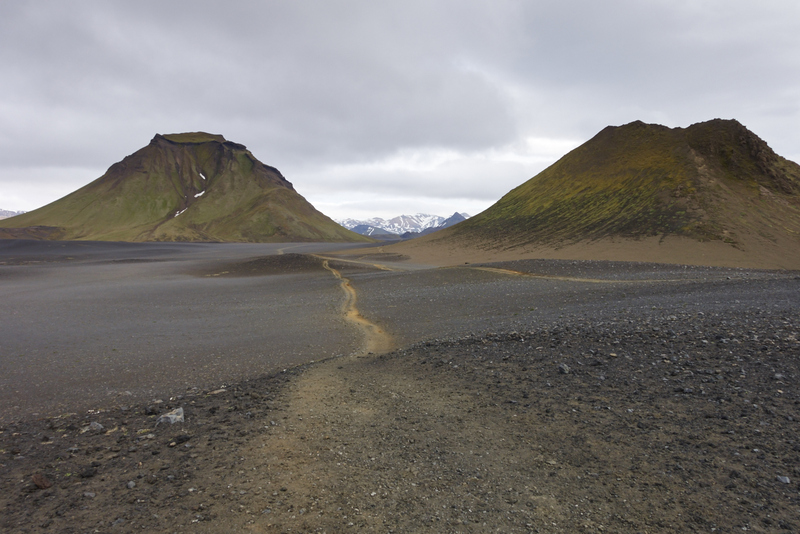 We had noticed earlier that the trails on Iceland tend to go OVER all the tops and ridges instead of going in the valleys and along the lowlands, as our trails back home in Sweden. And the part down to Skógar was no exception. 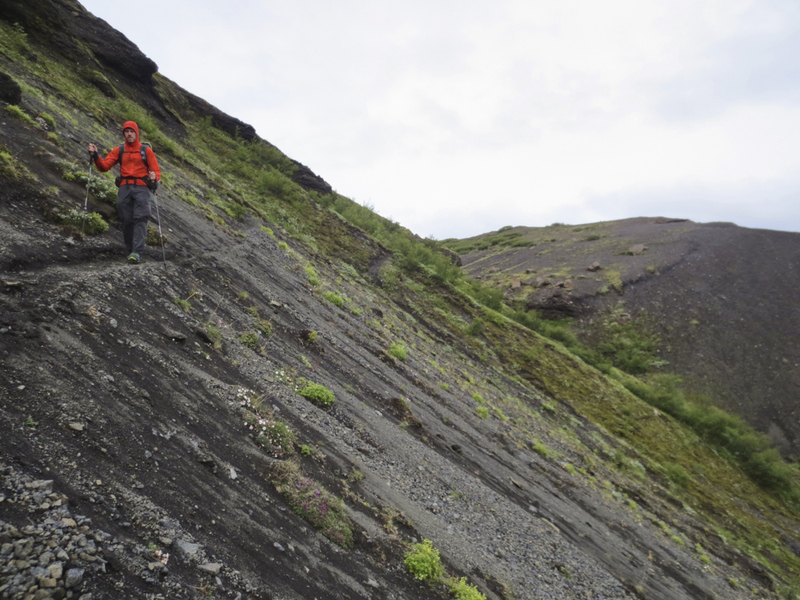 At some parts we walked a 50 cm wide edge with 45 degree slopes on each side ending in the valley 500 meters below! Patches with snow soon started to dot the previously so green landscape and after that we quickly hit the snow. We kept on climbing upwards in the slushy snow and by 10:30 we hade reached the pass were the two newly formed volcanoes Magni and Modi stood. Standing on top of a volcano, shaped no more than five years ago sure is a strange feeling! By now the snow cover was so thick that in som places the posts marking the trail was totally covered. These were a bit over two meters tall, so there were lots of snow! We kept on pushing through the sleet and by 12:00 we were at Baldursskali hut, from now on we knew that it would be downwards. Not long from the hut the trail started to follow Skóga River. In the beginning the river was small and the waterfalls we saw were quite modest in sight. But as we got lower and closer to the Atlantic the waterfalls got bigger and bigger. 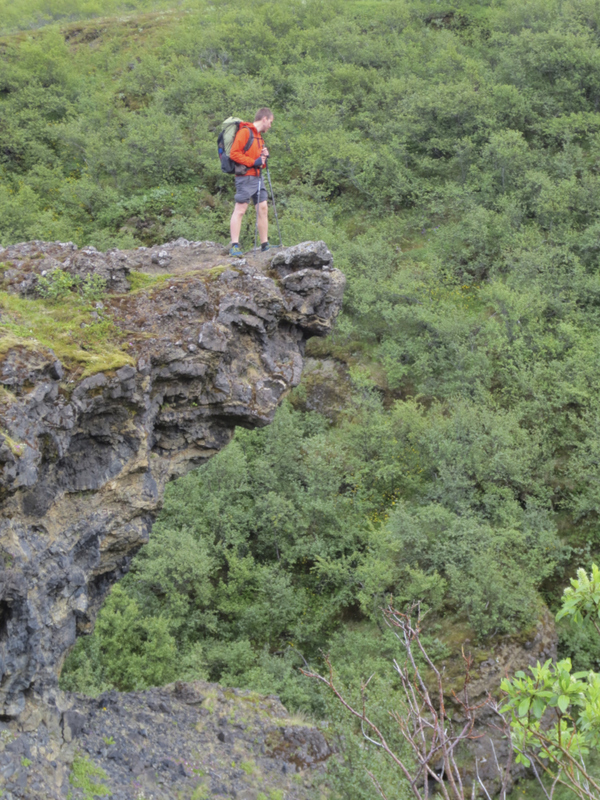 Now we also started to meet people that were walking up from Skógar to watch the waterfalls. They tended to arrive in large herds so we had to do our best to avoid the masses. Now the feeling that the journey soon was to be over started to get strong, we were no longer alone in the wilderness and civilization was around the corner. 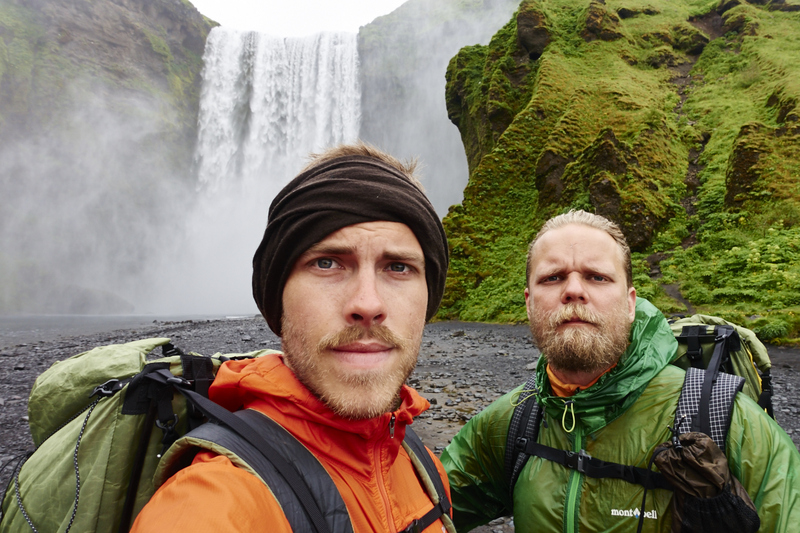 After walking in what seemed to be a never ending line of gigantic waterfalls at half by twelve we finally reached Skógafoss and end of line to this journey! We had not only got there in time, we had more or less made a flawless journey where we were able to stick to our planned route, brought equipment perfectly fit for the trip. And we were both in fully good condition! 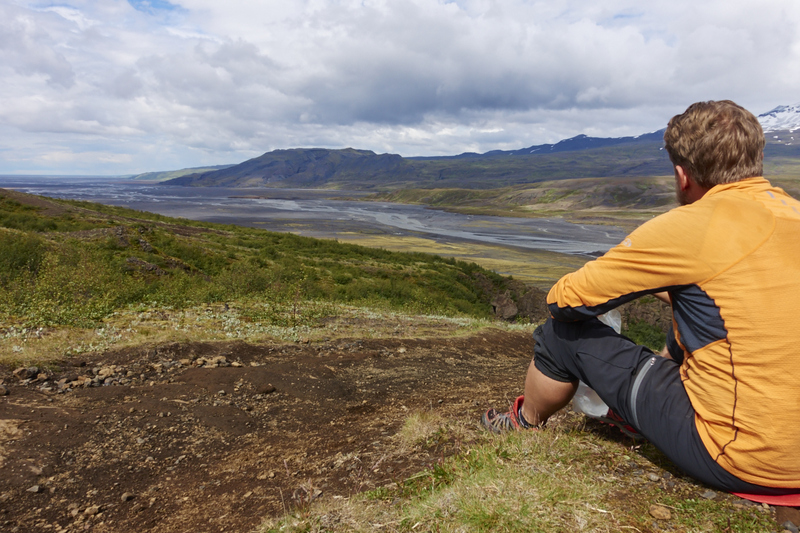 Laugavegur is a fantastic trail. 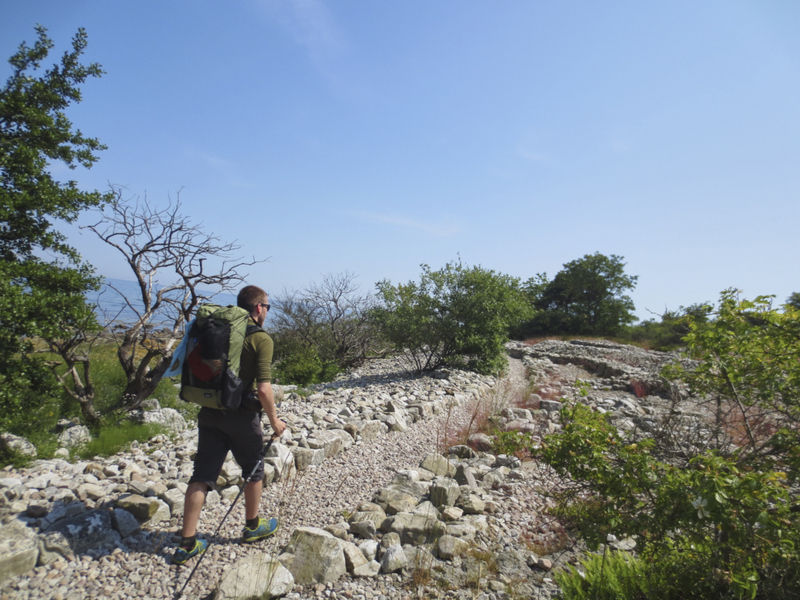 In a rather short trail you manage to see a great variation of landscapes. 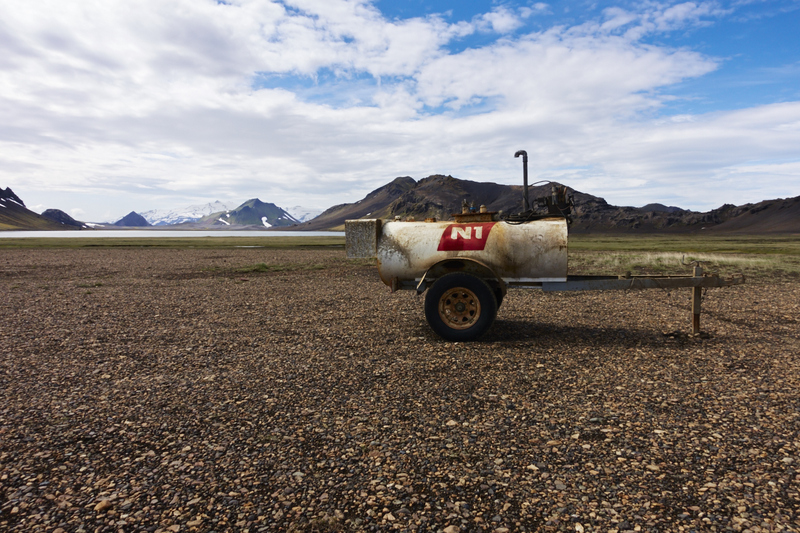 Landscapes that you won’t be able to see on many other places on earth. multi colored mountains, hot springs, volcano tops, glaciers, lava deserts. The list can be made long. The trail itself is not too hard to walk, as long as you are prepared for some ascents and from time to time really bad weather. A big drawback with this trail is that you have to camp on the dedicated campsites. 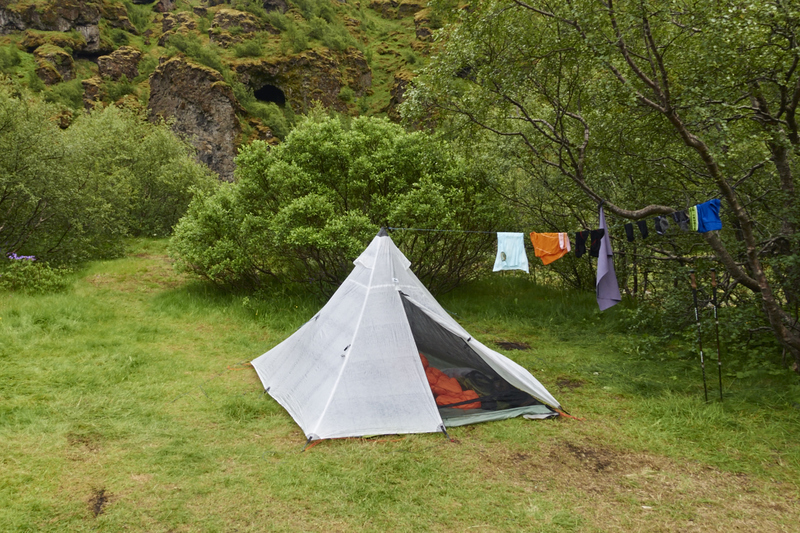 As Swedes we are used to allemansrätten and the possibility to put up a tent at any place where you won’t disturb anyone. 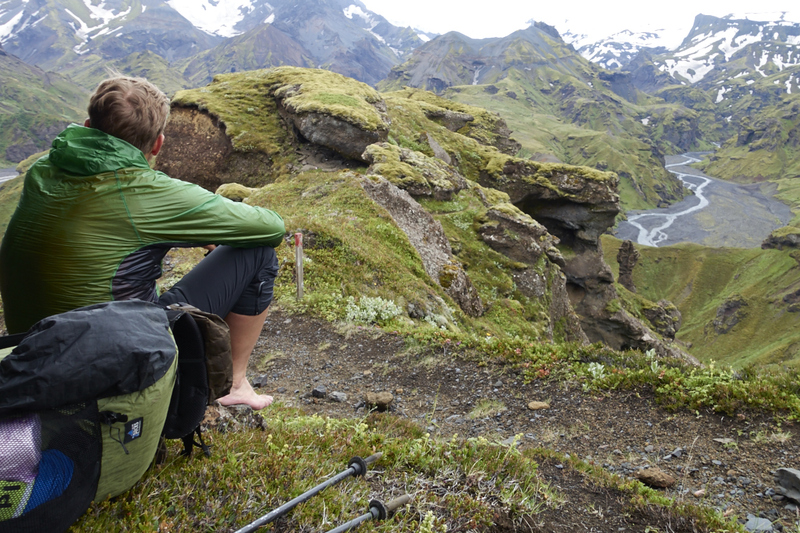 This is for us a large part of the outdoors experience and truly lets you make your own experience. With that said this was an amazing hike. 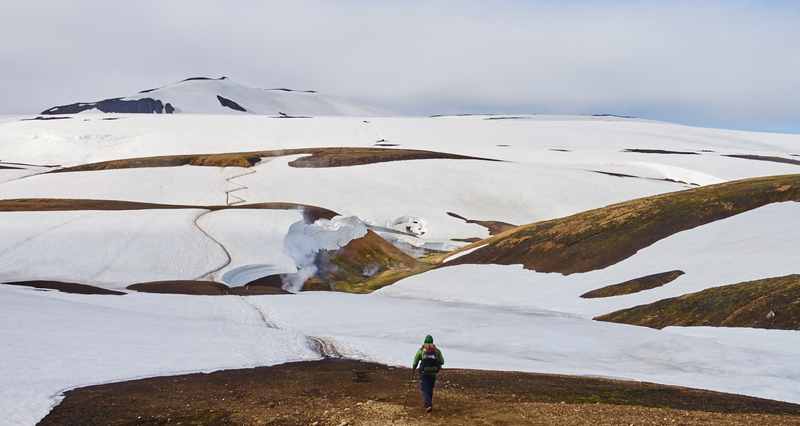 For anyone with the slightest interest in hiking we would warmly recommend to walk Laugavegur and get the chance to see the incredible landscapes of Iceland! 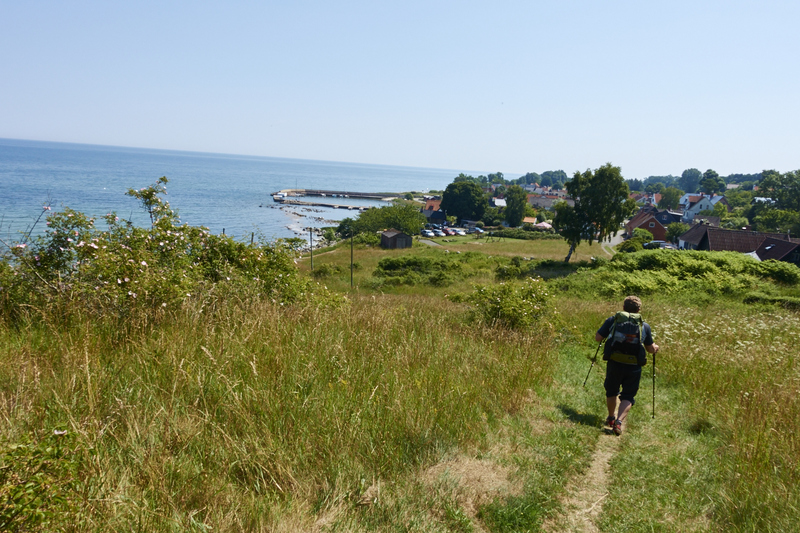 Skåneleden SL4 from Brösarp to Borrby Strandbad via Simrishamn and Kivik can now be added to the list of completed hikes in Sweden. Click the links to go to the maps. 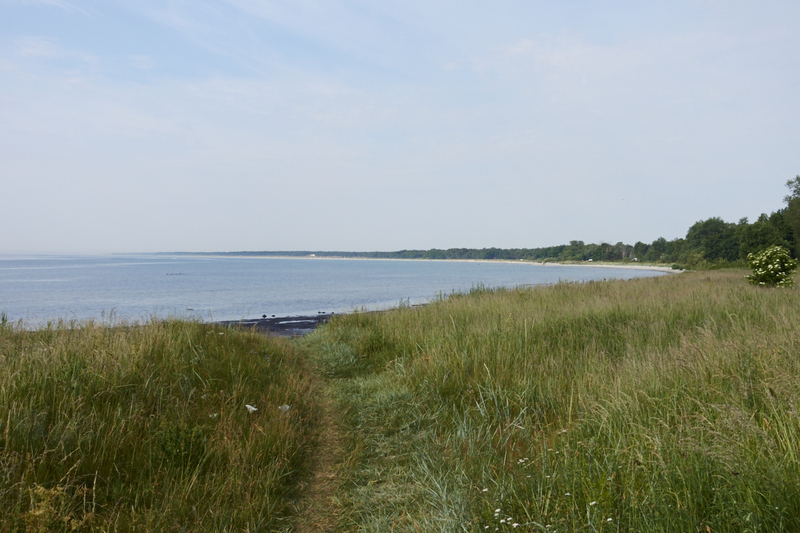 This stretch of Skåneleden offers many different environments from dense leaf forrest to long sandy beaches. Sometimes it feels like you’re not even in Sweden anymore, especially when the weather is so nice and sunny like when we were there. 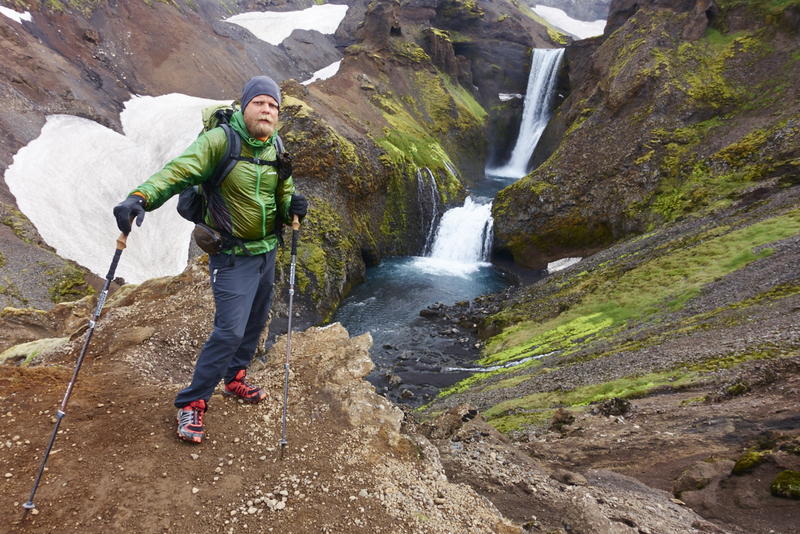 The main goal with this trip was to test out all the gear before our trip to Iceland here in late July. We were hoping for some wind and maybe even some rain, but we got nothing of that… Rather the complete opposite. 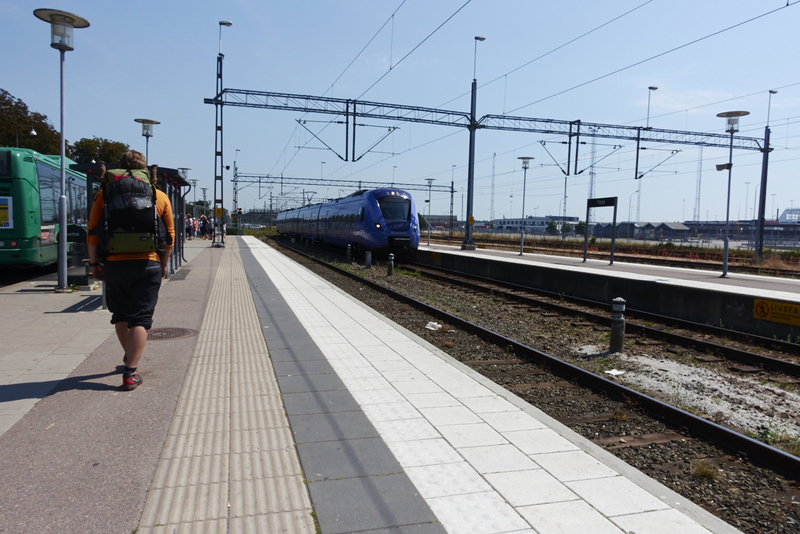 We started our hike in Brösarp near the bus station on Friday around 7pm and walked towards Kivik. 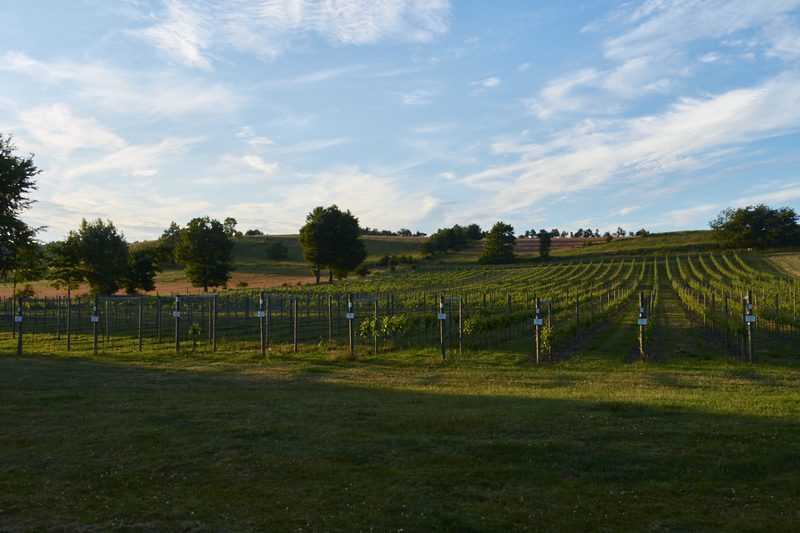 It was a warm summers evening around 20 degrees Celsius, might even be called the first proper one so far this year. Nature is interesting at times. After a few kilometers of easy walking it was time to take a quick break and have a look at the stream that we’d been following for some time. And would be following all they way down to the ocean. A quick splash of water on hands and face to cool down. 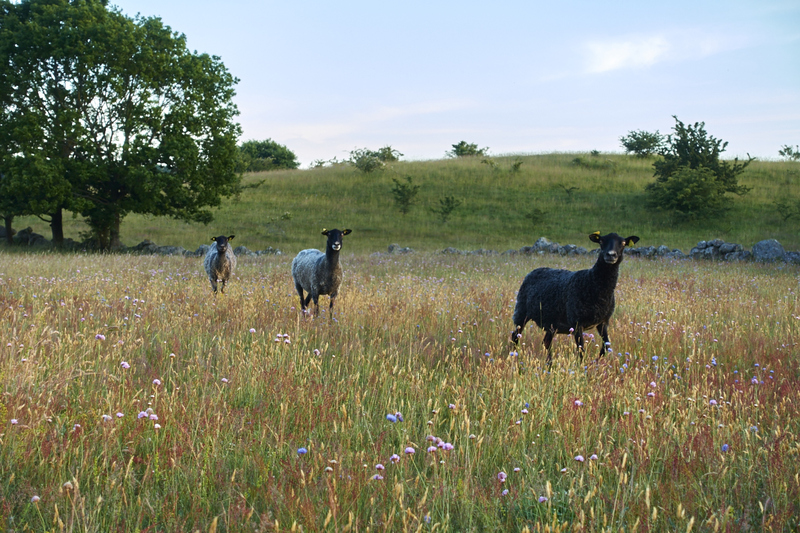 During a snack break on a beautiful meadow we got some unexpected company. We were standing in the middle of nowhere and when I looked around I couldn’t see a soul. Then just out of a sudden these three showed up behind a low stone fence. 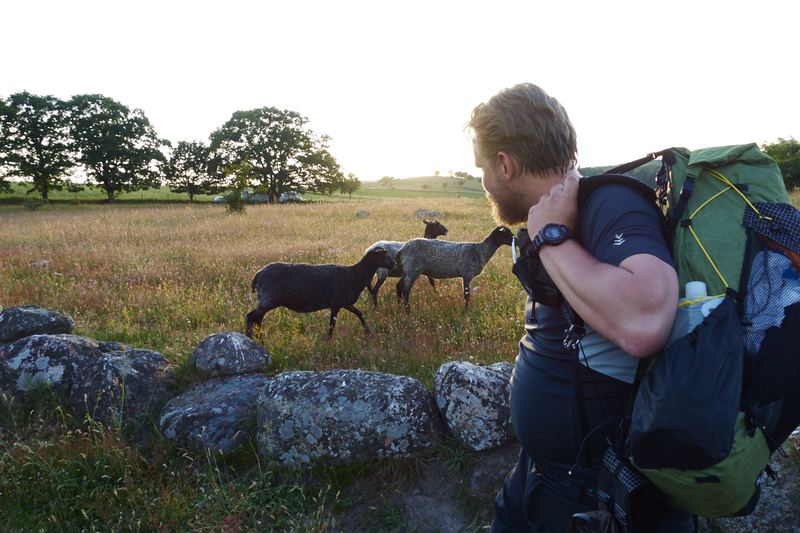 Jon picked up his pack as they looked hungry for Cuben Fiber. You never know how many square feet of Cuben these guys can eat per minute. Orchards and many of them. Scouting rabbits as they run all over the fields. 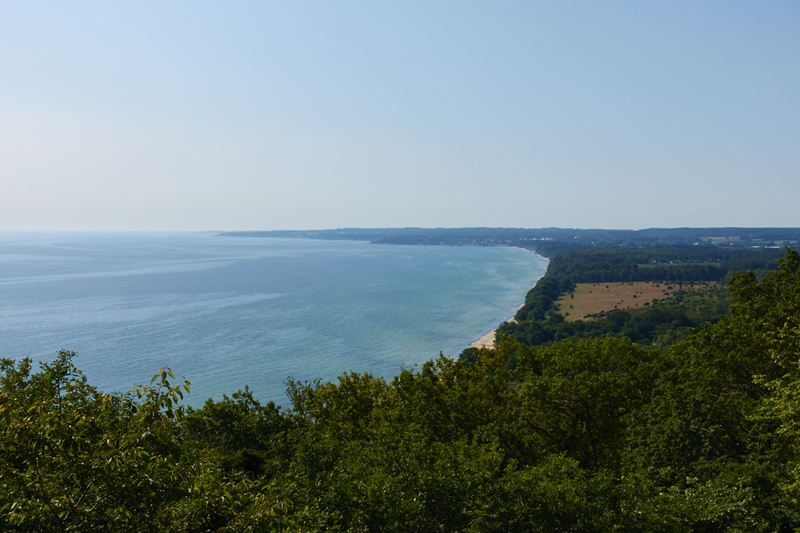 After a few more kilometers we finally reached the ocean, and what a view! Jon is down by the water to cool his feet and head. After a quick stop we pushed on towards Kivik. At this point we didn’t really have a plan for when and where to stop. And because we were inside a nature reserve our options were limited. 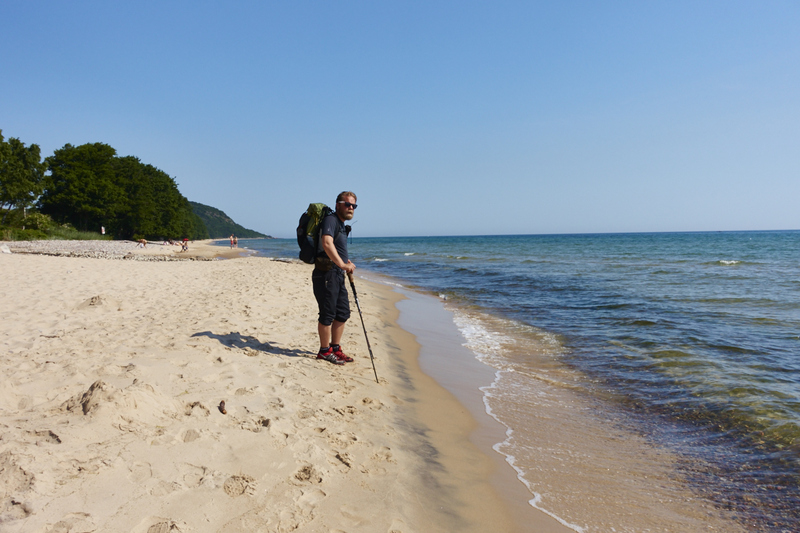 However many non-hikers didn’t really respect this and we saw open fires, pitched tents and loose dogs on the beach. 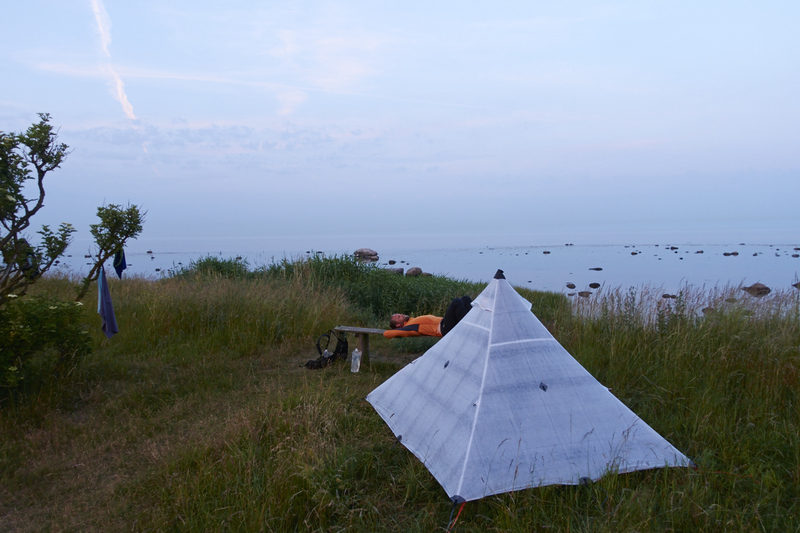 We reached the outskirts of Kivik just as the sun was about to set and after have walked circa 12 kilometers. 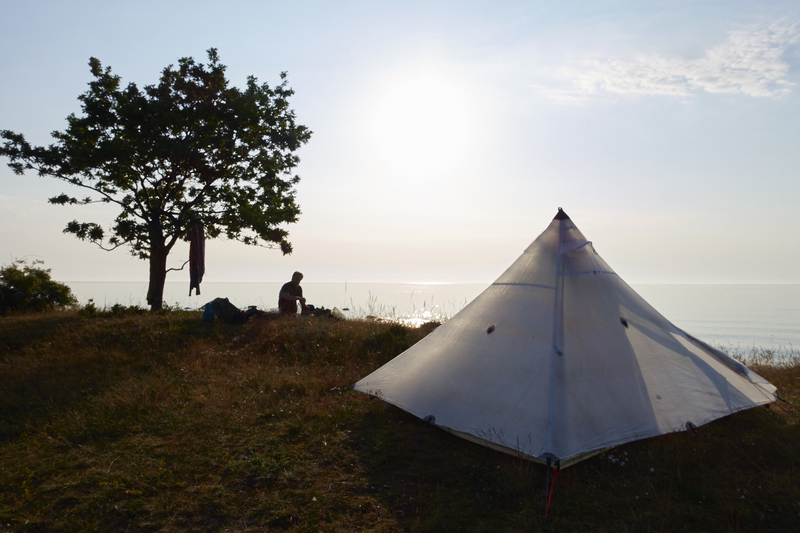 It was a very nice sunset and during this we pitched the tent and made some last minute adjustments to the Bearpawwd inner that really made it even better than before. We even found a new technique for pitching the tent. 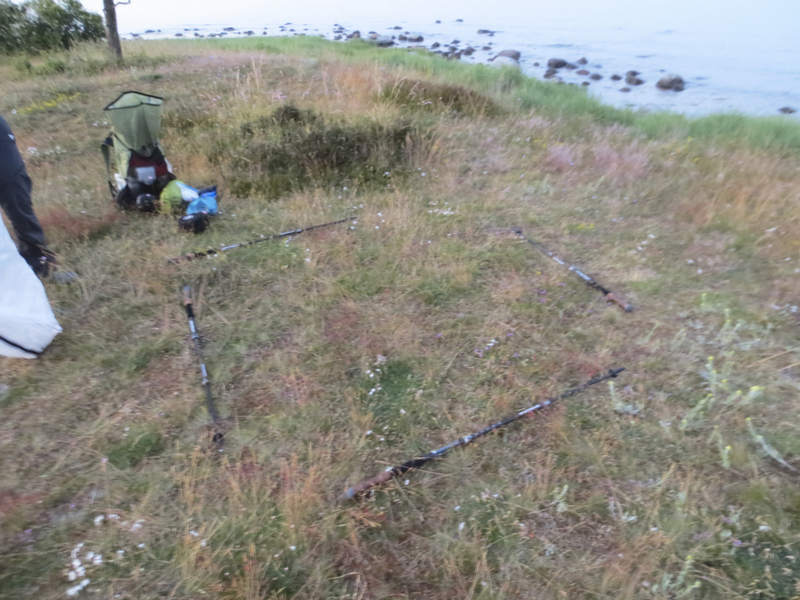 To make sure the ground is as flat as possible we lay our walking poles on the ground to see if things are uneven. This was really helpful! The moon is rising in the horizon. The next day we woke up to singing birds and the sun that was heating up the tent. 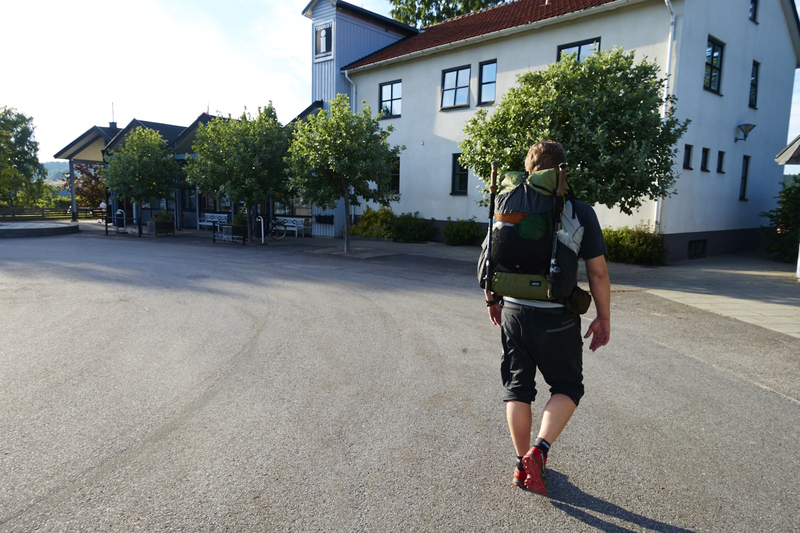 We walked into Kivik to get some more water before we headed of to Stenshuvud to see the views from there. 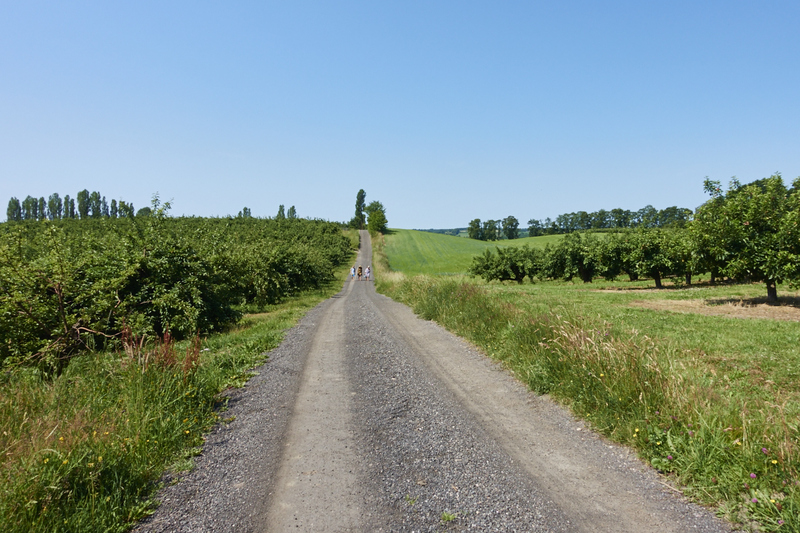 On our way to Stenshuvud we passed by Kivik Musteri, an apple farm. Unfortunately we were there too early and the shop had yet to open, but at least we got ourselves a quick break after about 5 kilometers. 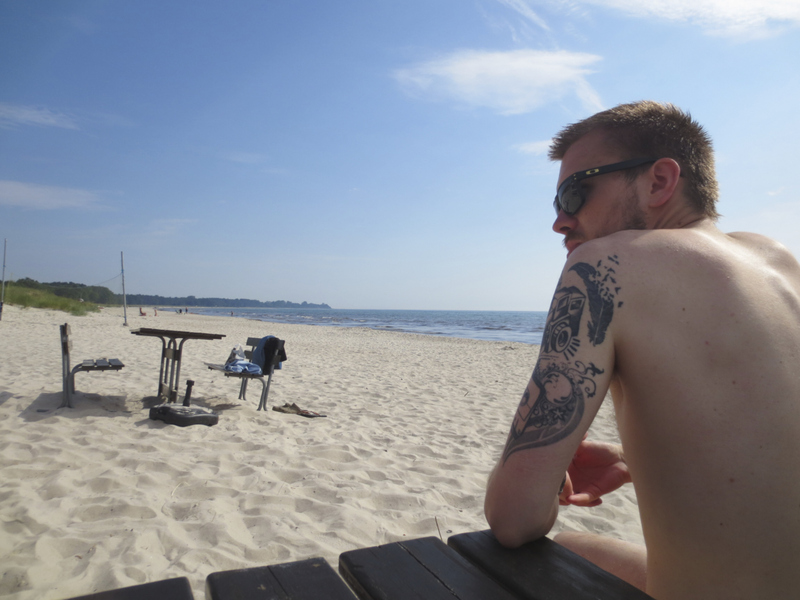 Even this early, 9am, the sun was burning us, about 25 degrees Celsius. Reaching the foot of Stenshuvud, finally shade! Hiking to the top gaining some much wanted elevation. Stairs are way more exhausting than just a normal climb. Trying to sit in the shade but keeping the shirt and socks in the sun to dry. Enjoying the view. Also getting to know where we’re going and how far it actually is. After reaching the top it is always the same story… You have to go down again, and we did. At this point I think that not one worn piece of clothing was dry and not because of any rain… We picked up the pace and set our goal to reach the beach and have a swim to cool down. I guess that now the temperature had reached close to 30 degrees Celsius. This doesn’t really look like Sweden to me. After a cooling swim we kept on walking in a nice pace. 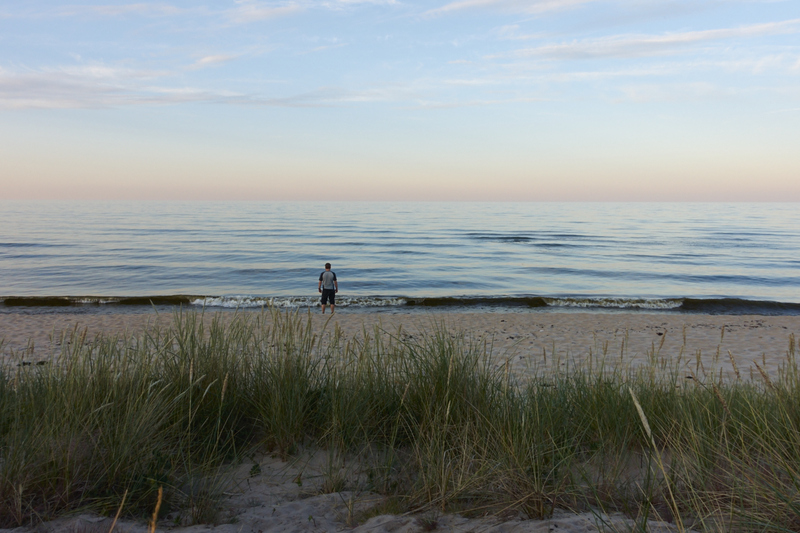 Not many people had come to the beach yet but just 10 minutes later it was crawling with sunbathers. As it got later in the day the temperature reached the completely nuts temperature of about 35 degrees Celsius. It’s no fun hiking in this temperature when you’re expecting something else. 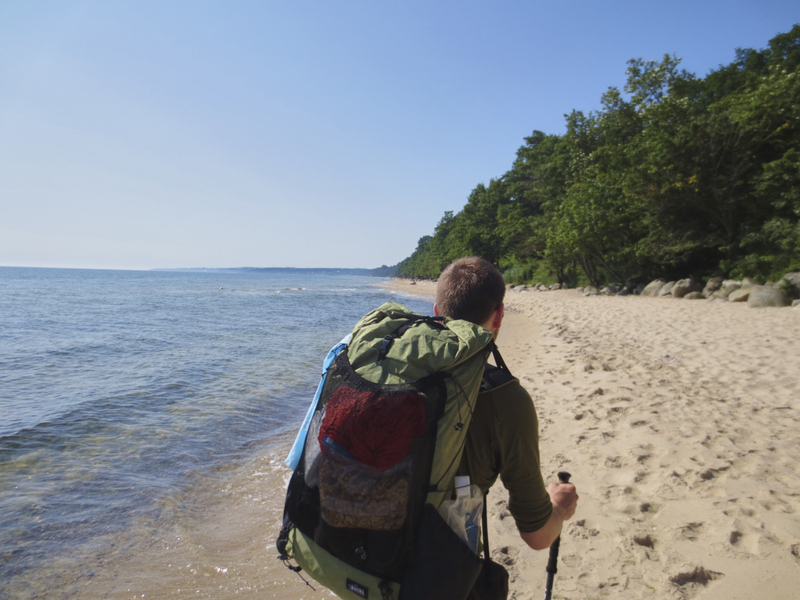 Hiking through some idyllic places along the way. ** ENTER PICTURES HERE ** – Due to the heat we just pushed on for several hours not taking a single picture and then finally we took this one. 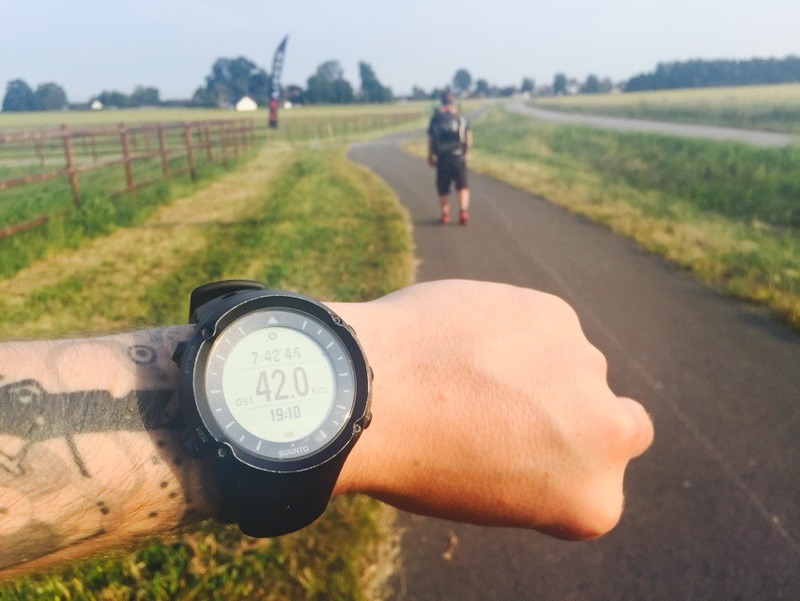 Personal record, passing 42km in one day. 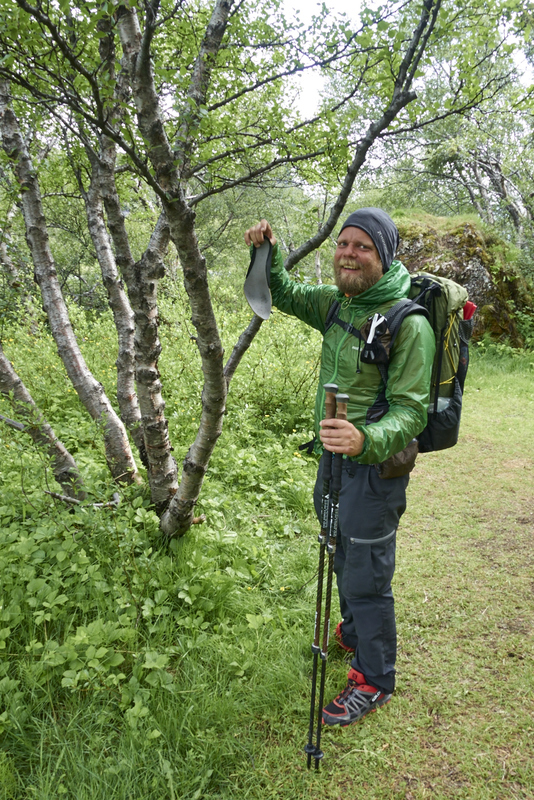 We stopped hiking just a few kilometers after this picture was taken and at that point we’d reached just south of the small town called Skillinge and we set up camp. Heading down to the beach again for the final stretch. Lovely hiking by the water with a slight breeze. 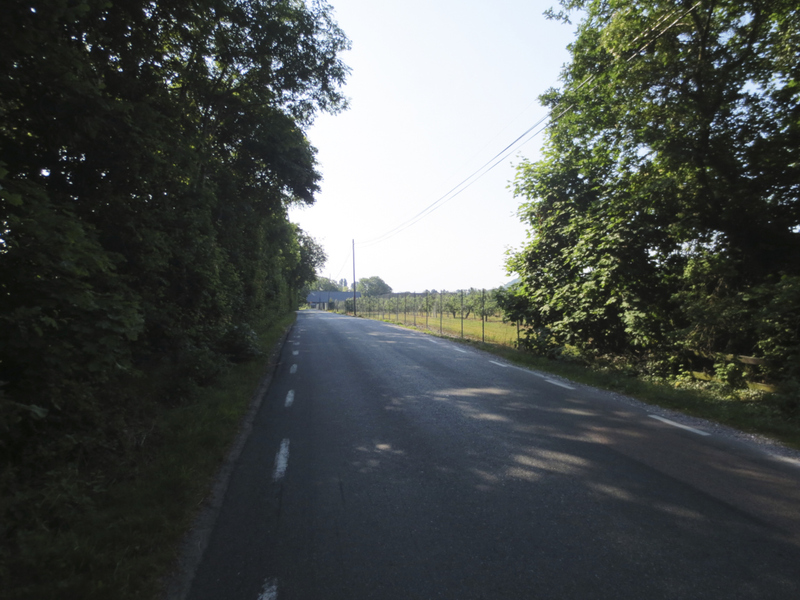 Our goal of the day was to walk a few kilometers to one of the bus stops that Jon previously had picked out on the map. 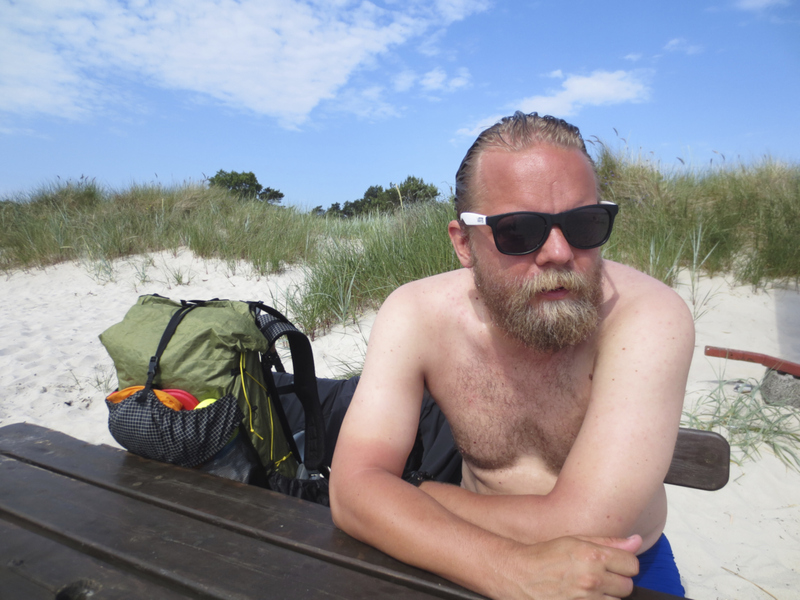 We also wanted to find a good spot for a quick swim before we had to leave Österlen. Crazy tractor guy. Drove down in to the water and took a picture of his racer. Reaching Borrby Strandbad. Short last day, about 5 kilometers. Drying in the sun after a swim. 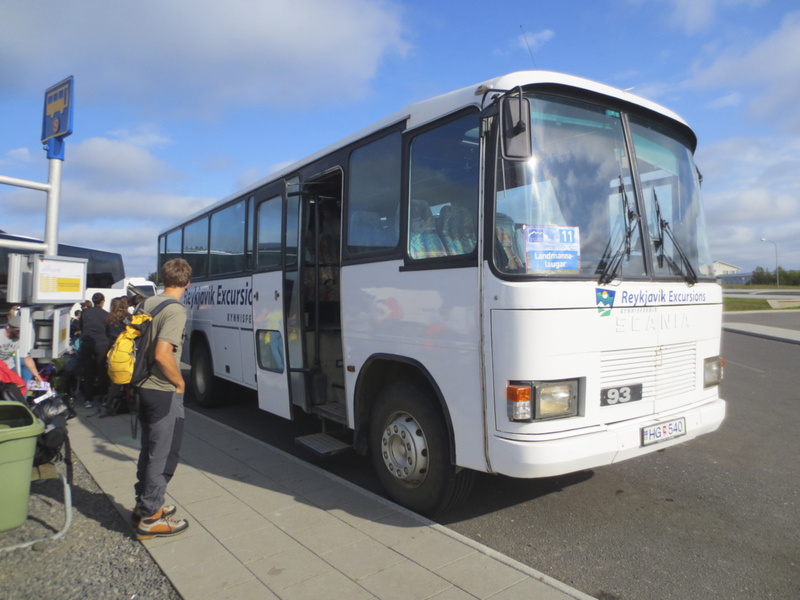 We took the bus from Borrbystrands Camping to Ystad and then back to Brösarp where our car was waiting.